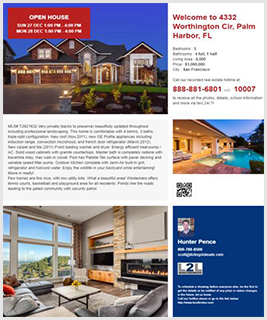 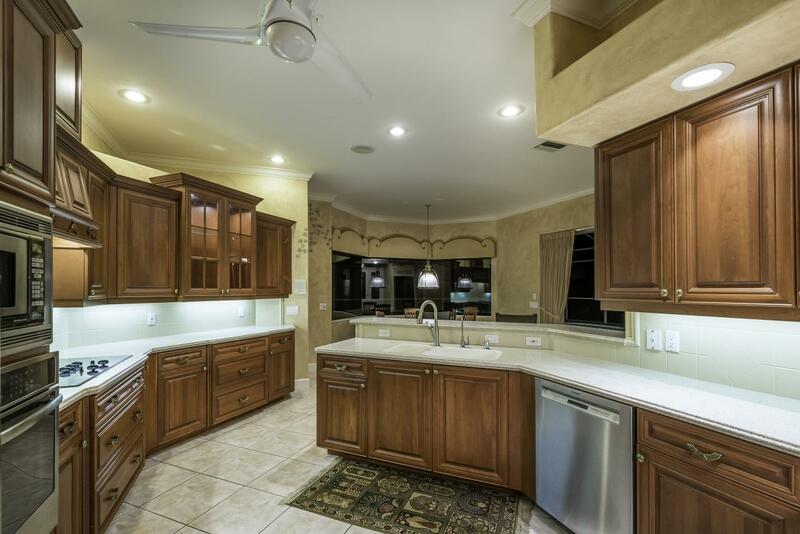 This custom built, sailboat home awaits you and is sure to impress. 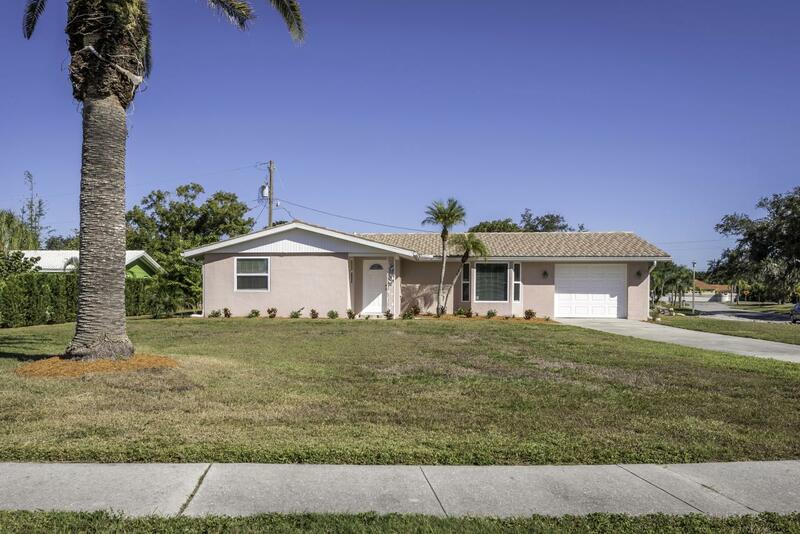 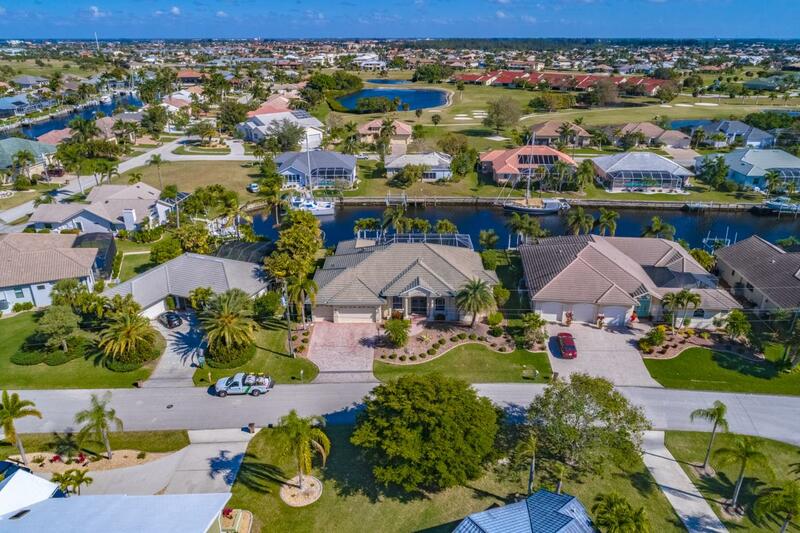 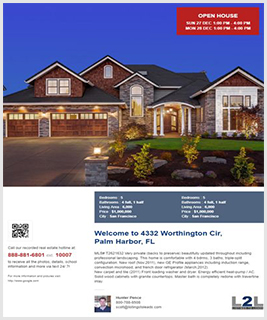 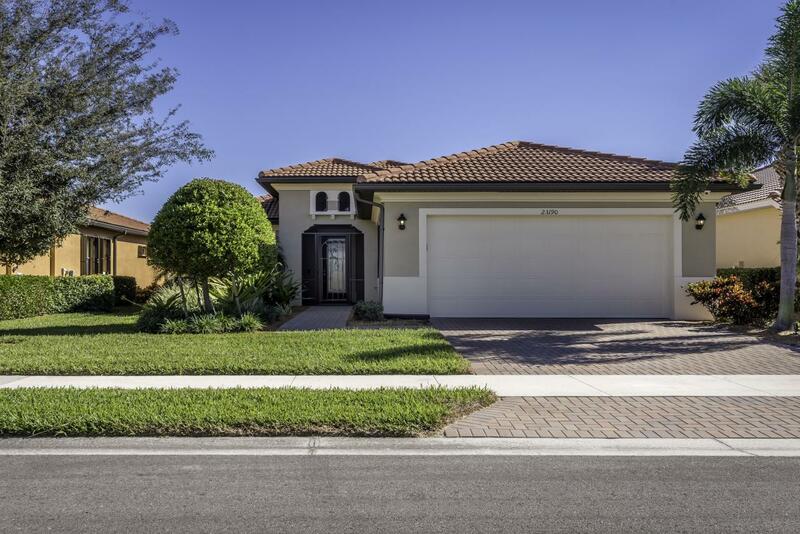 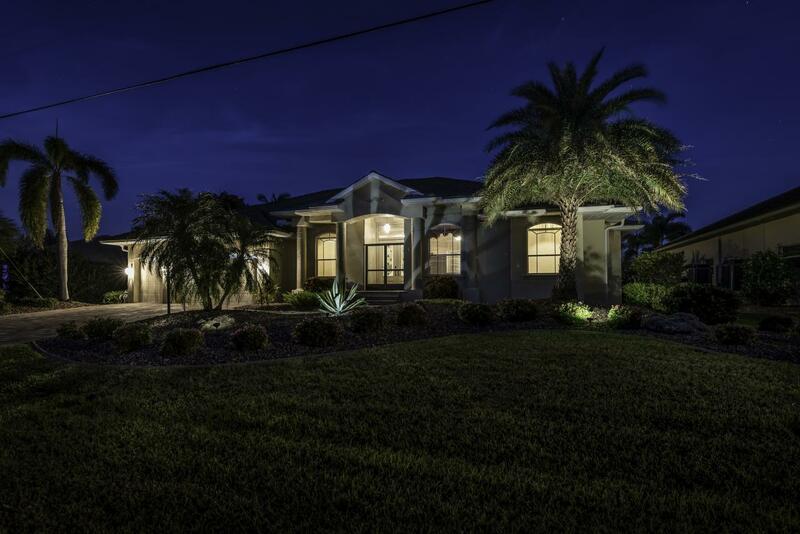 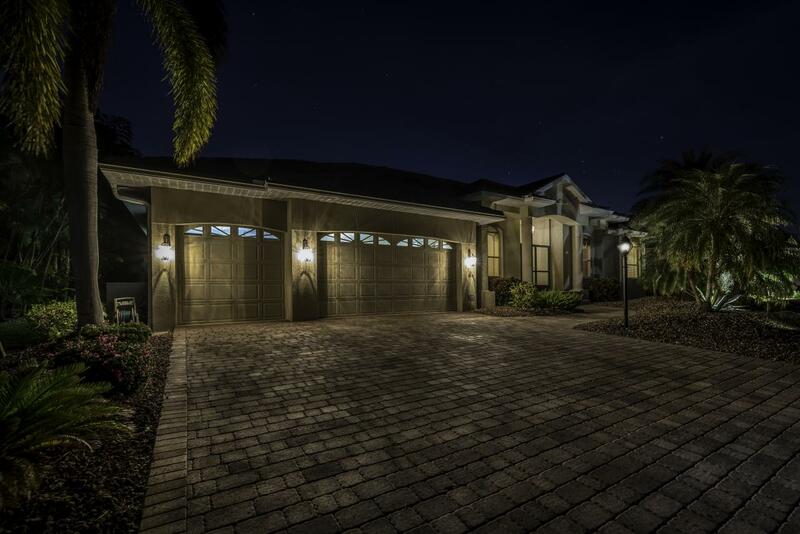 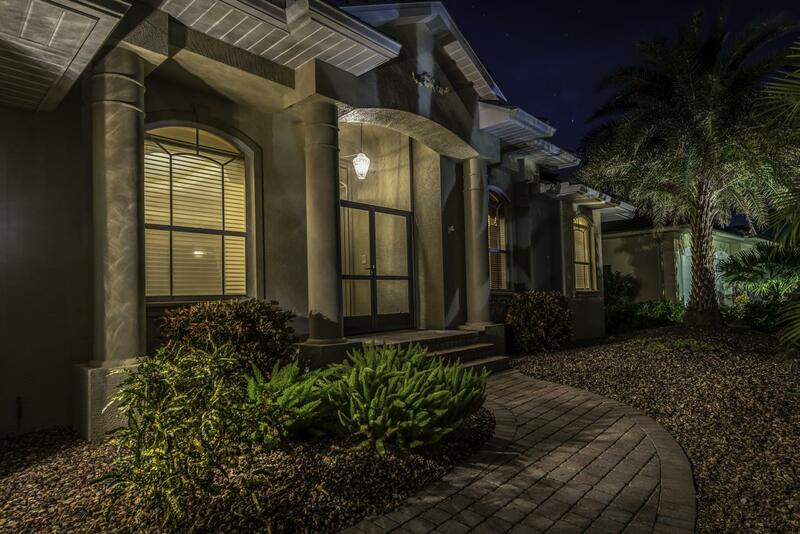 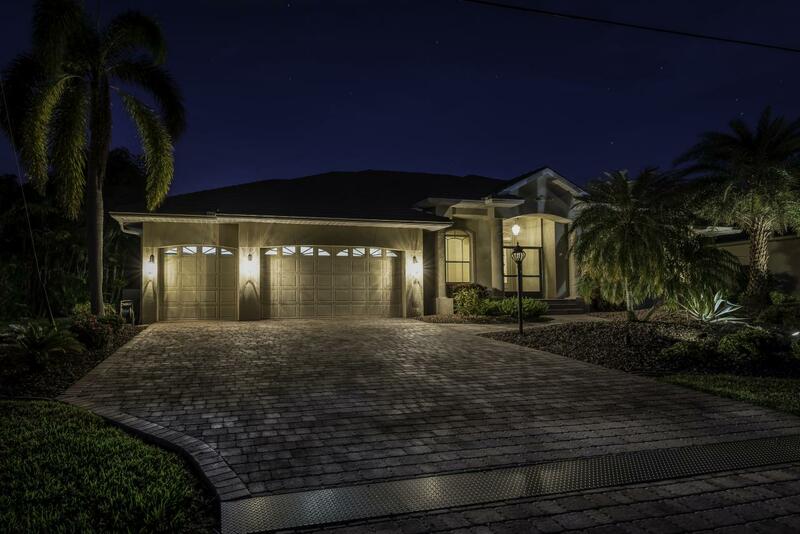 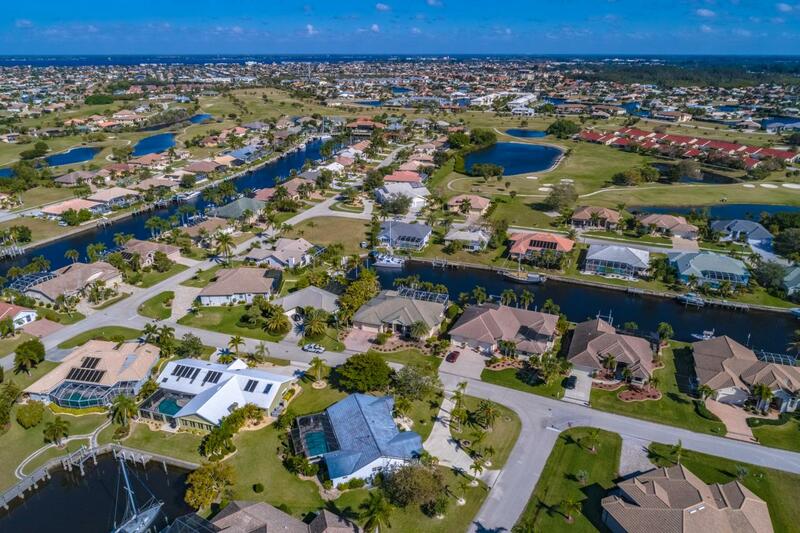 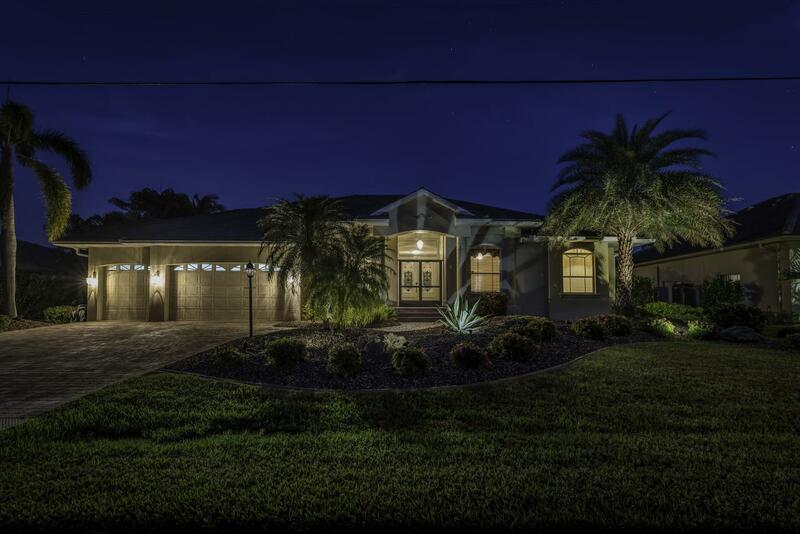 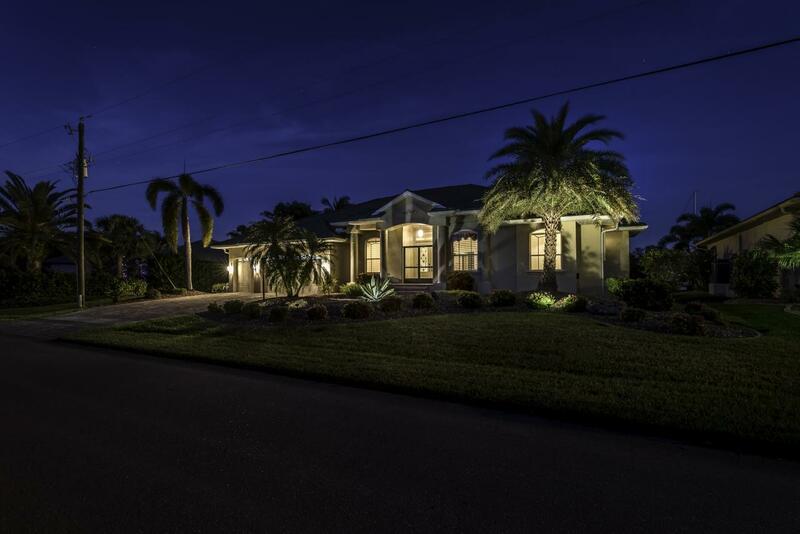 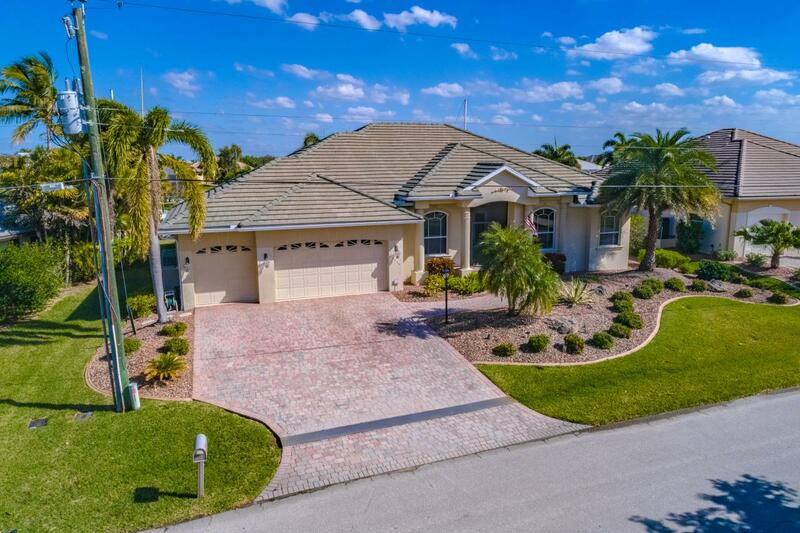 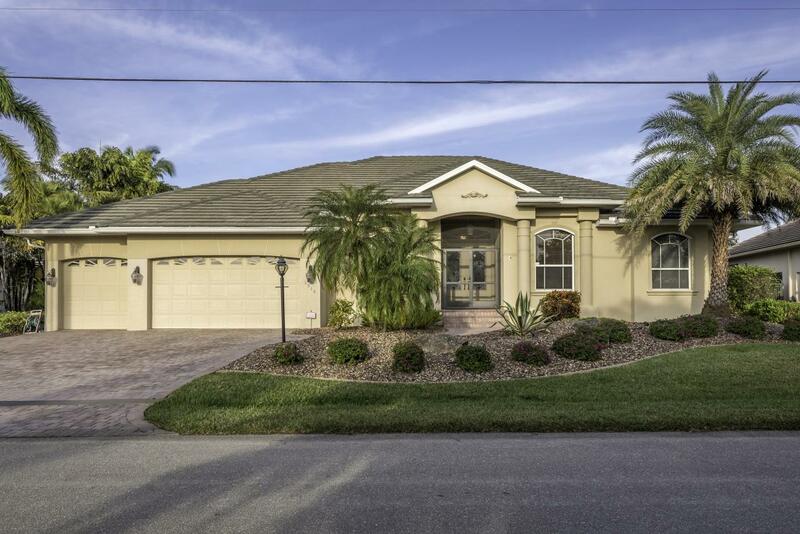 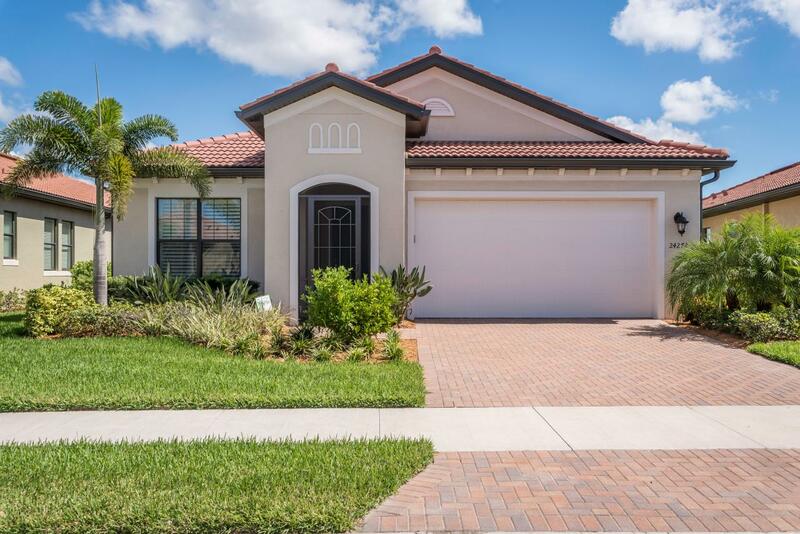 As soon as you pull up to the brick paver driveway, you will fall in love with the tropical landscaping surrounding the front yard and entrance. 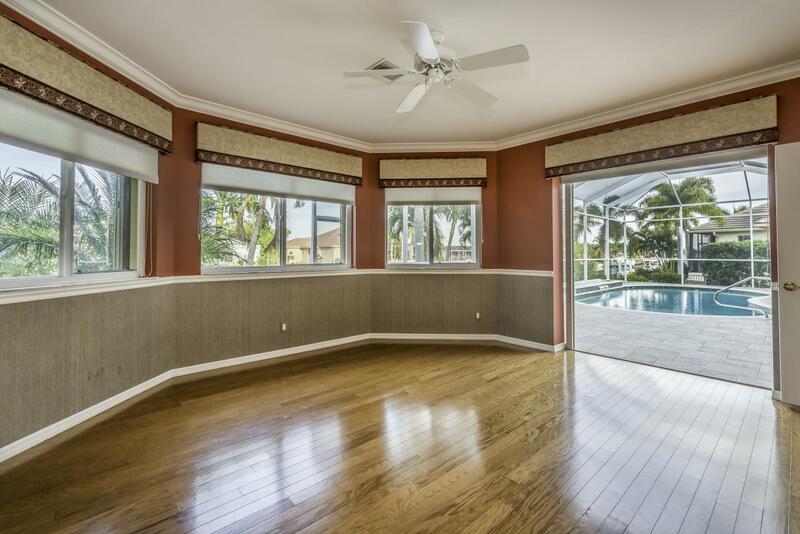 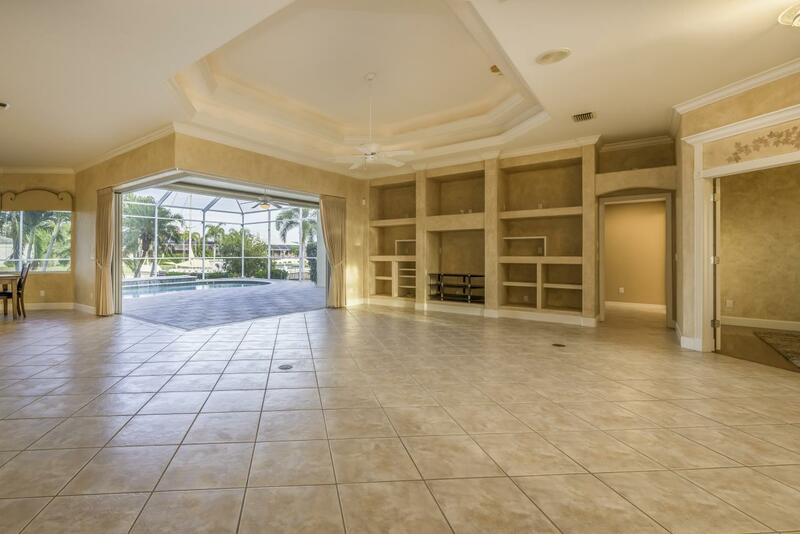 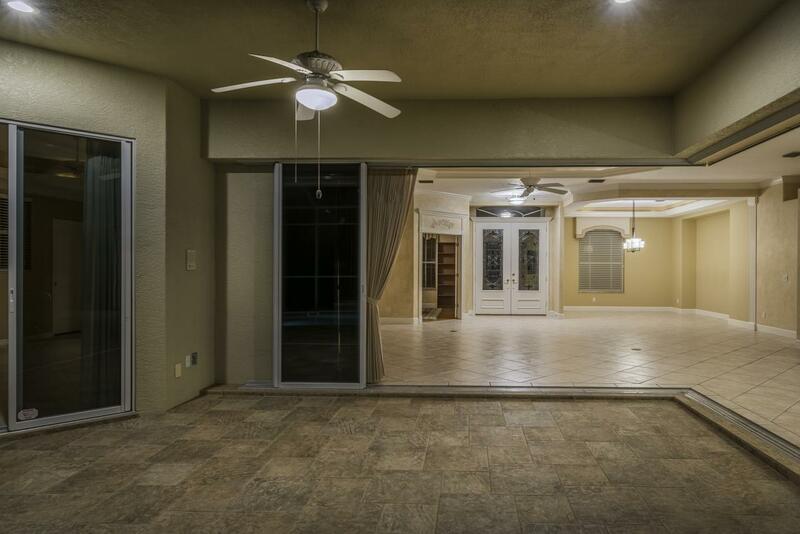 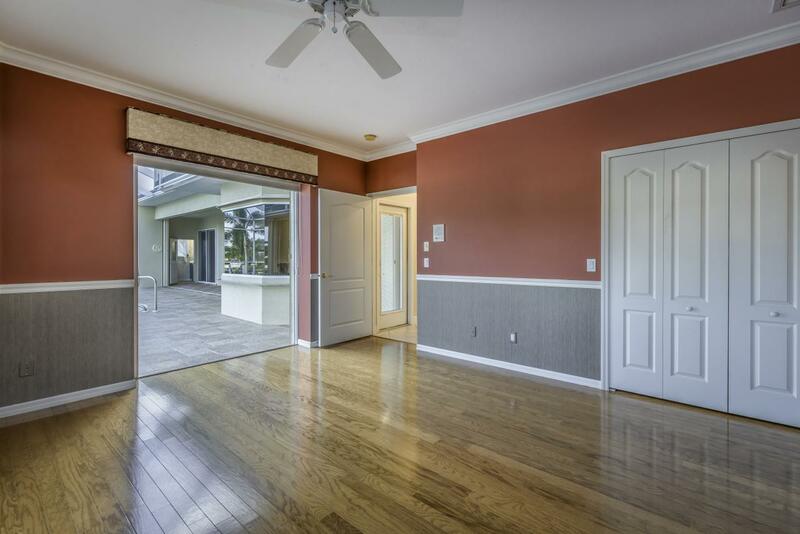 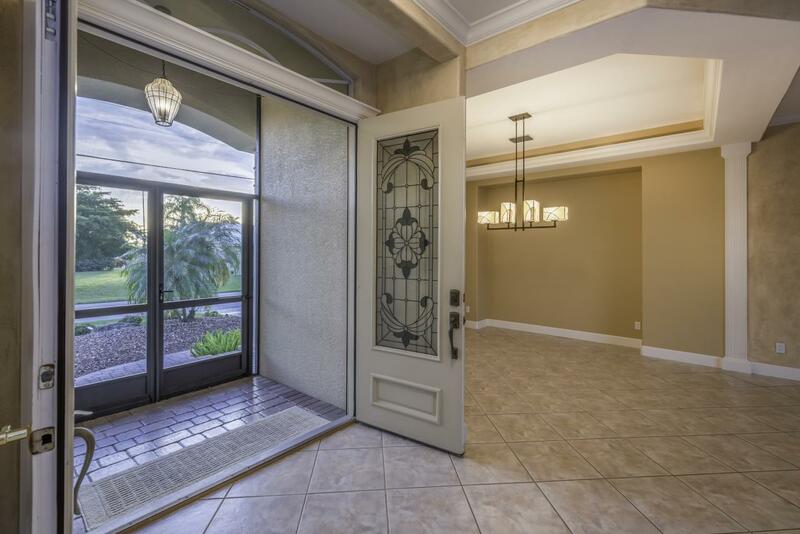 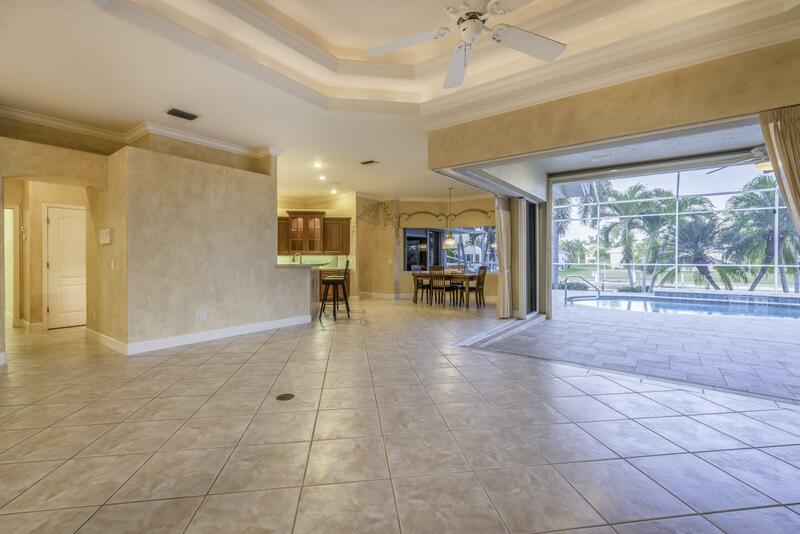 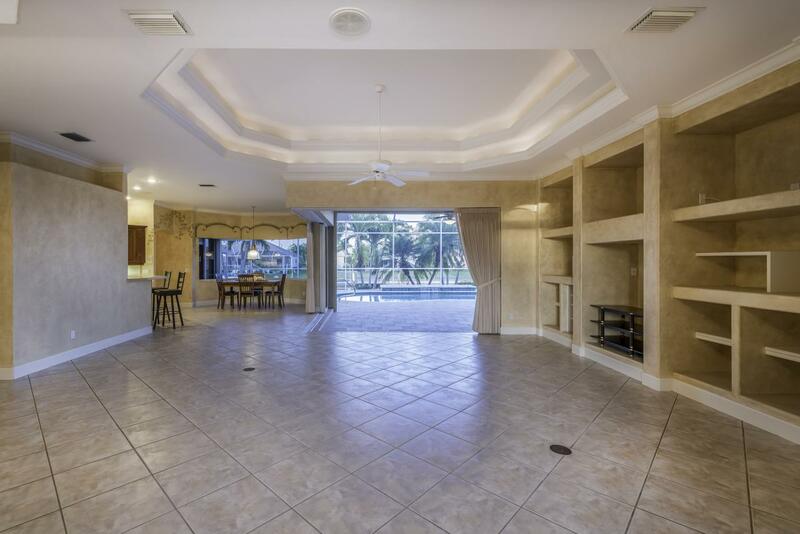 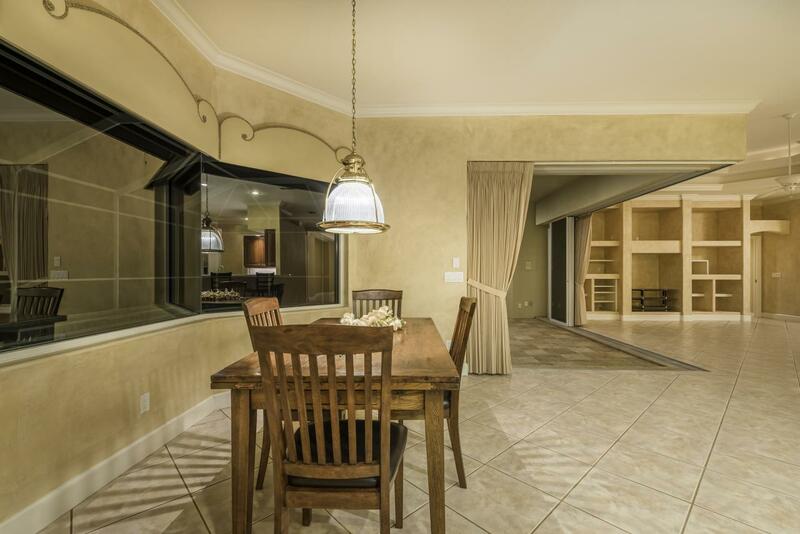 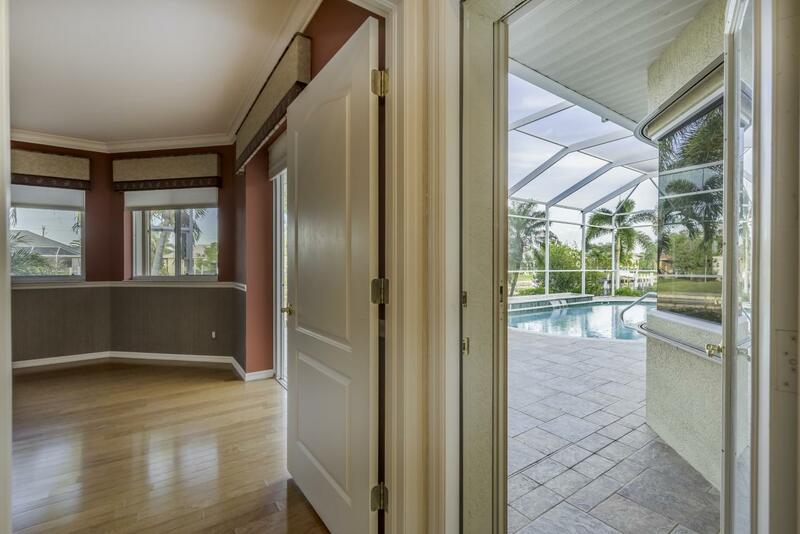 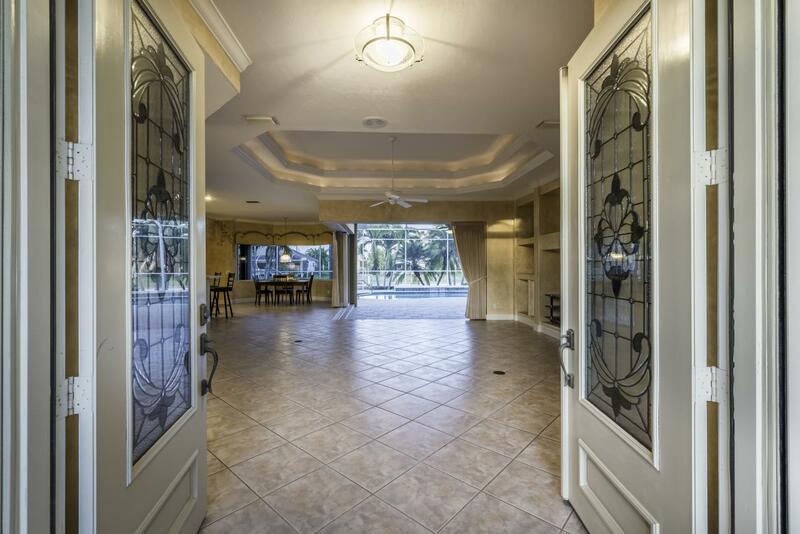 Step through the front double doors to the elegant open great room plan and enjoy the view of the pool and canal beyond through zero-corner sliding doors. 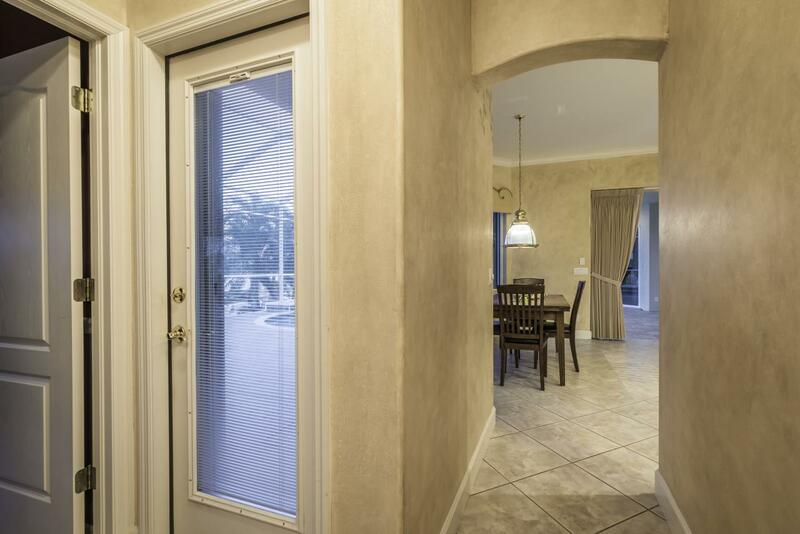 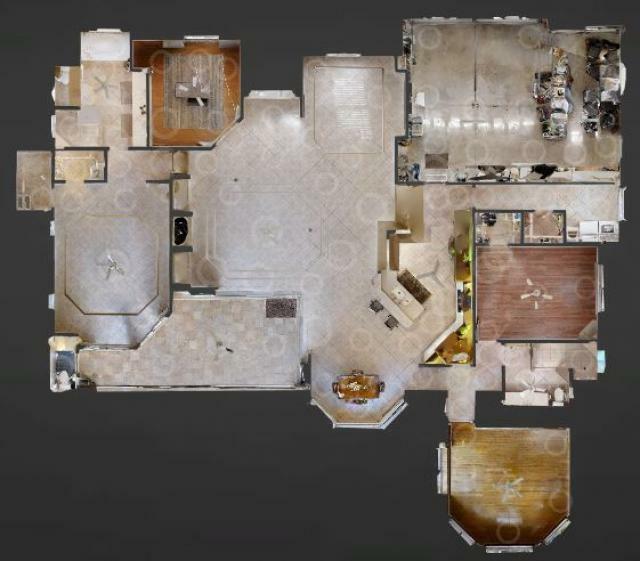 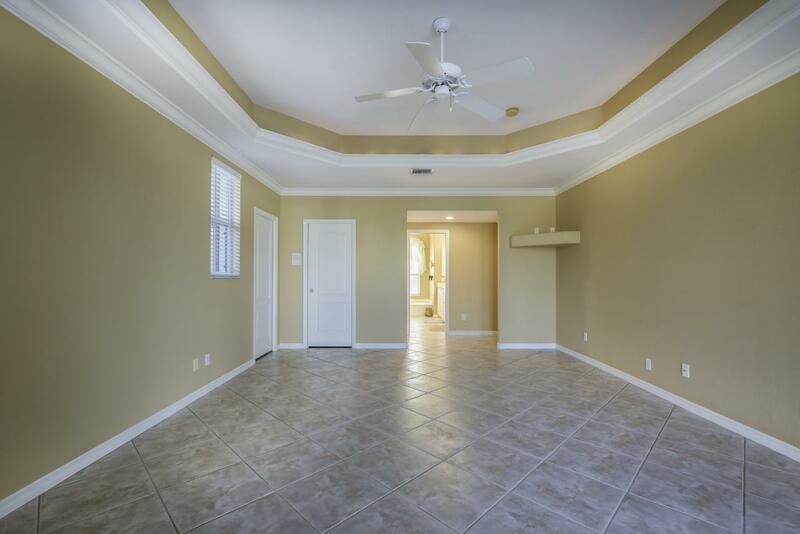 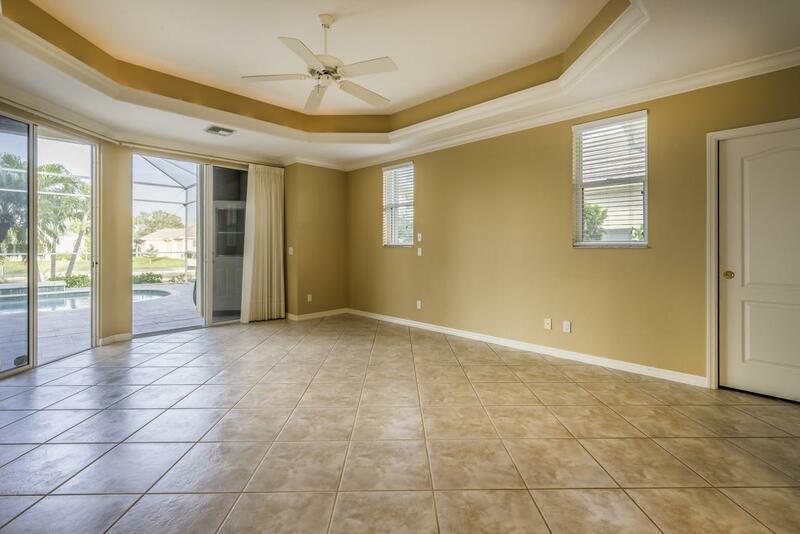 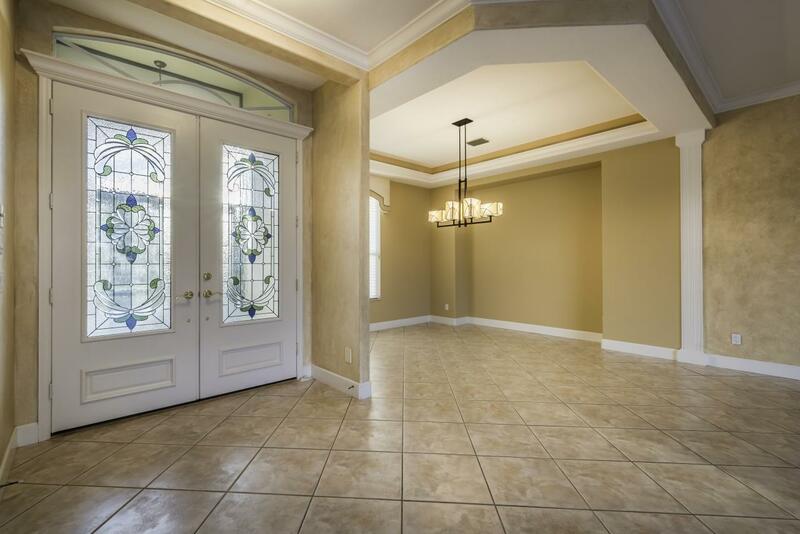 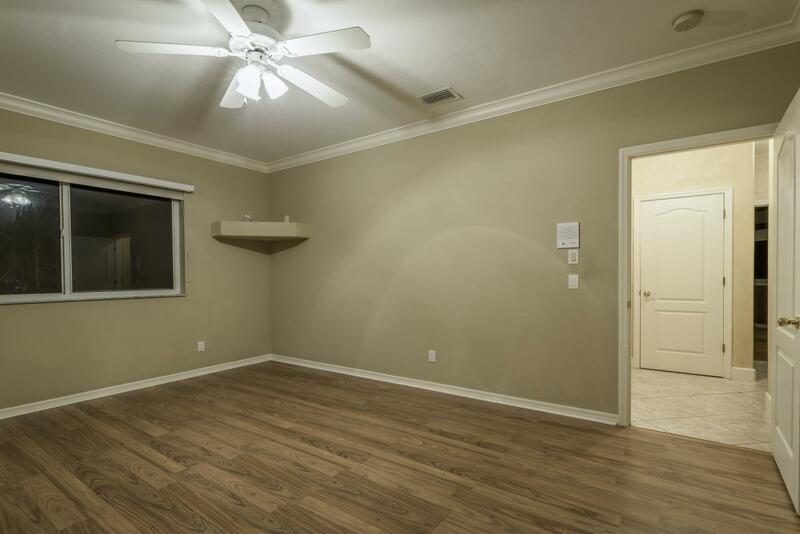 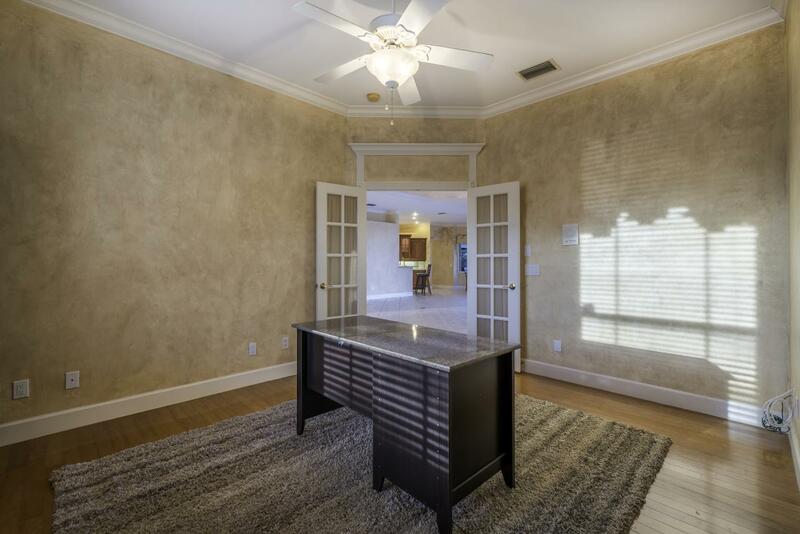 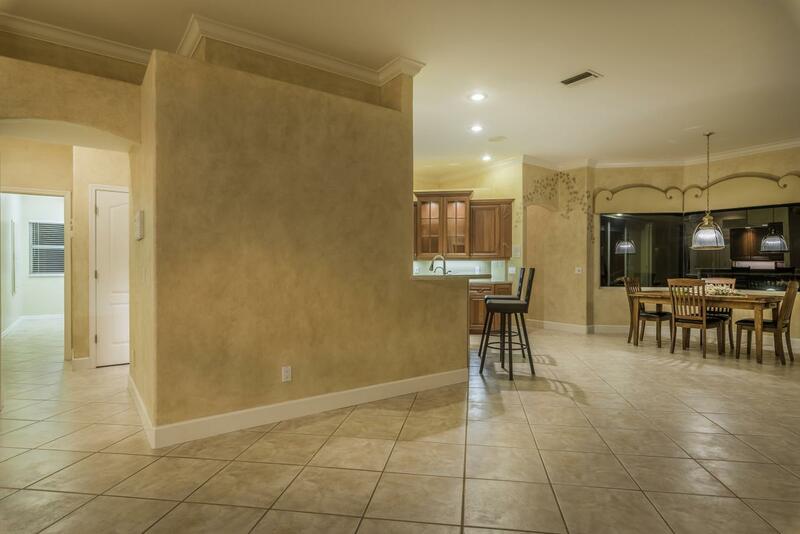 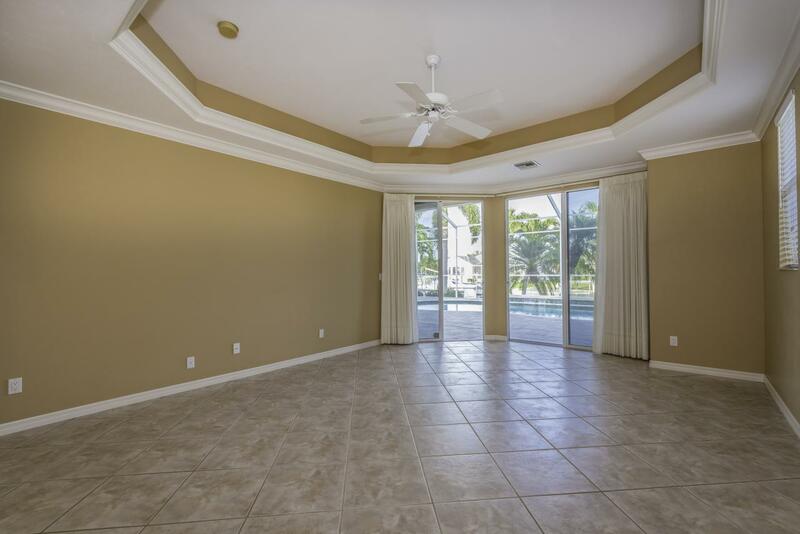 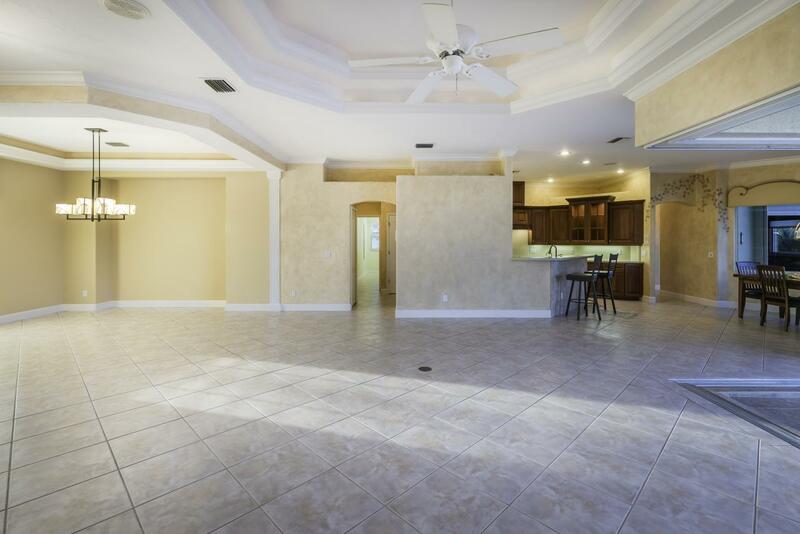 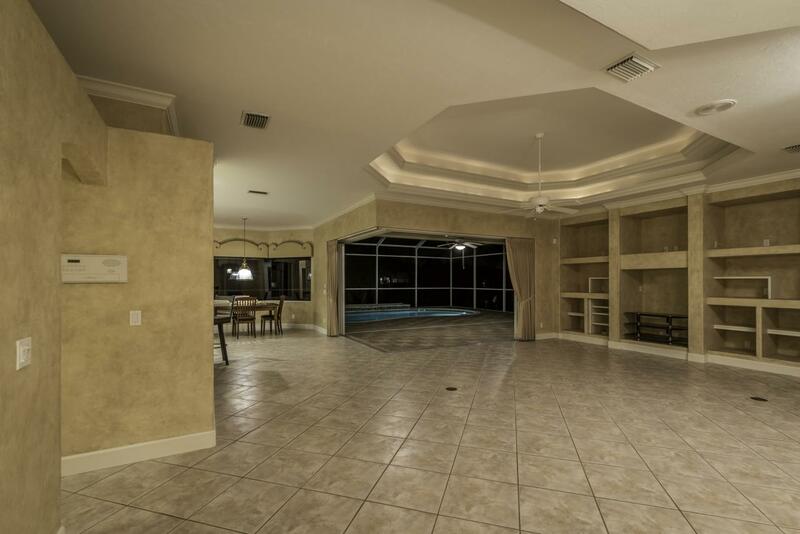 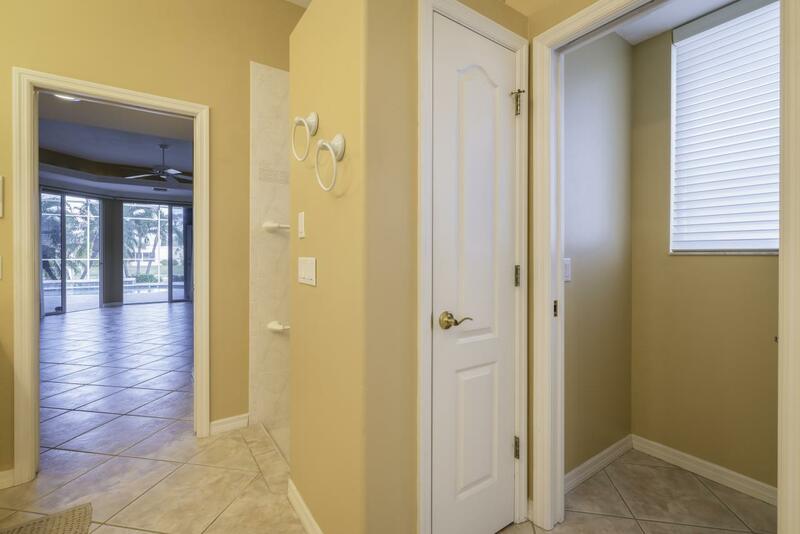 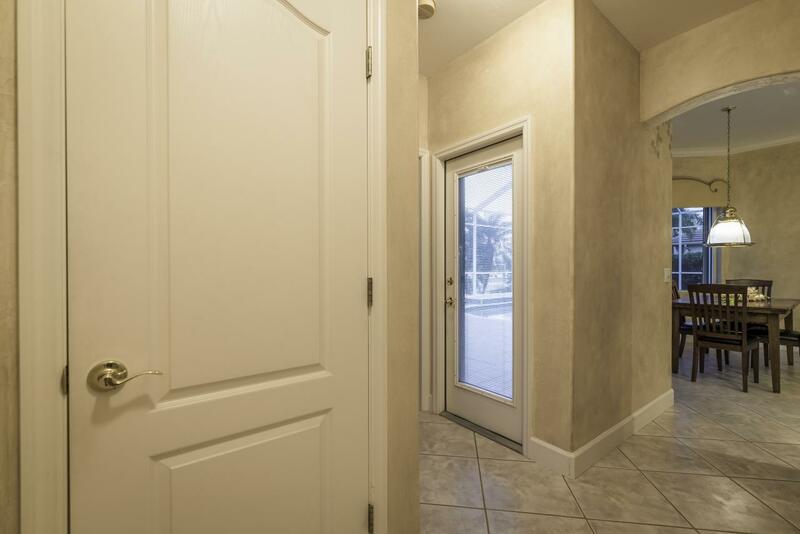 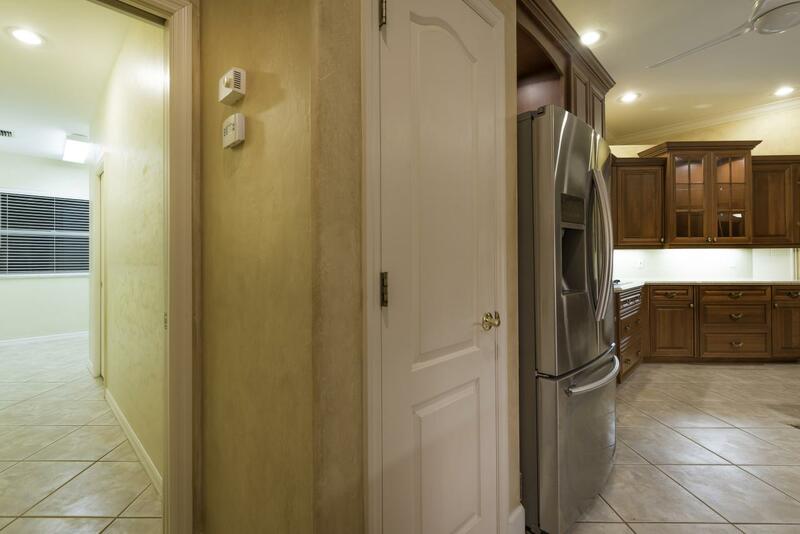 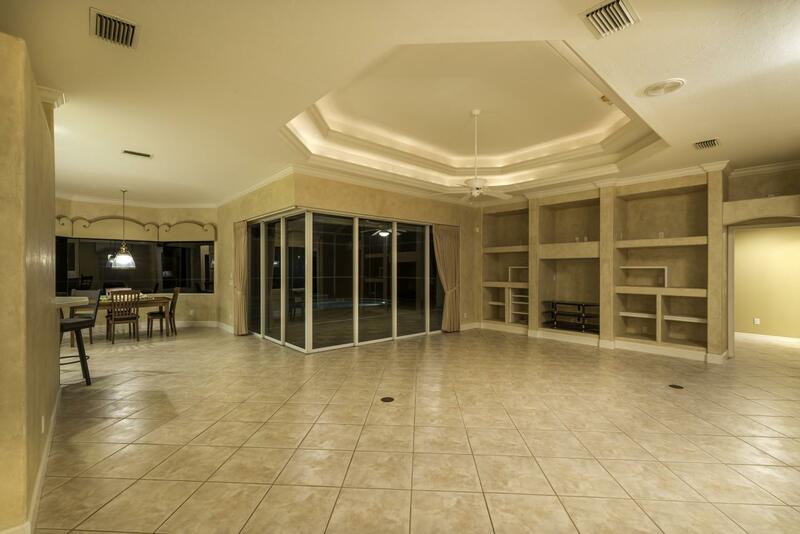 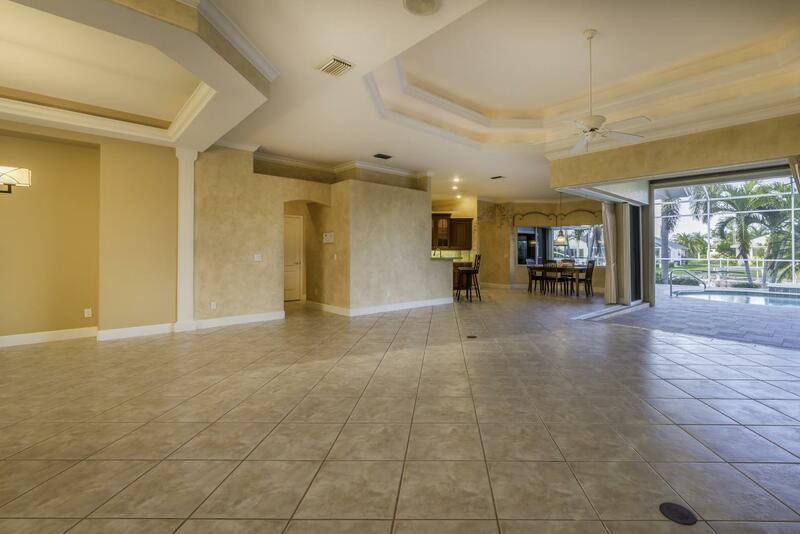 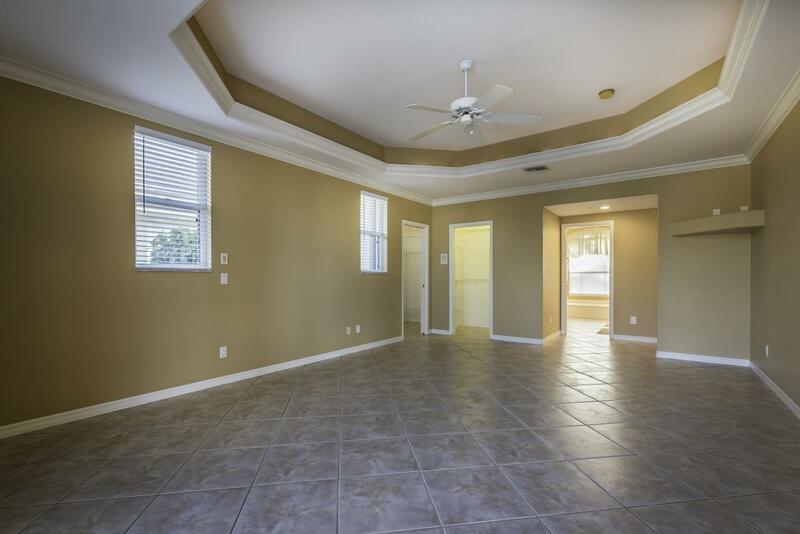 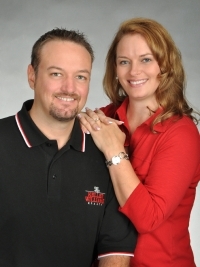 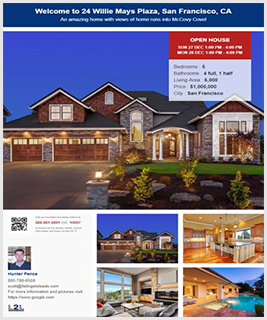 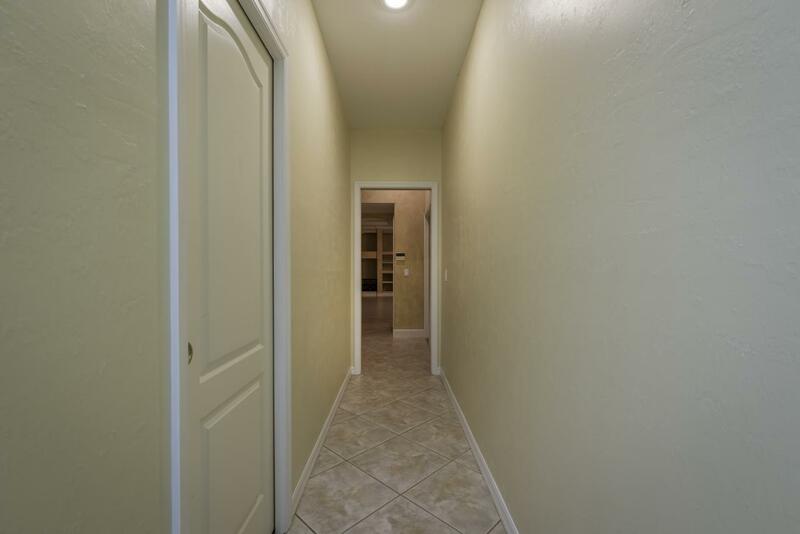 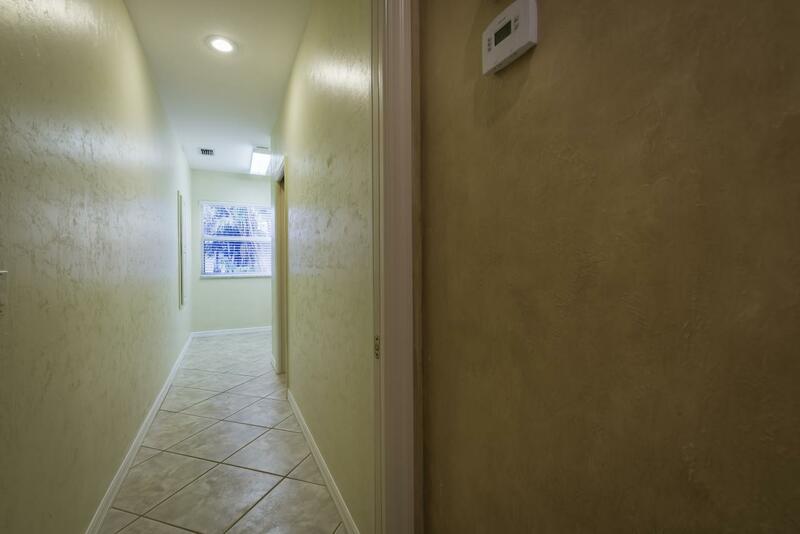 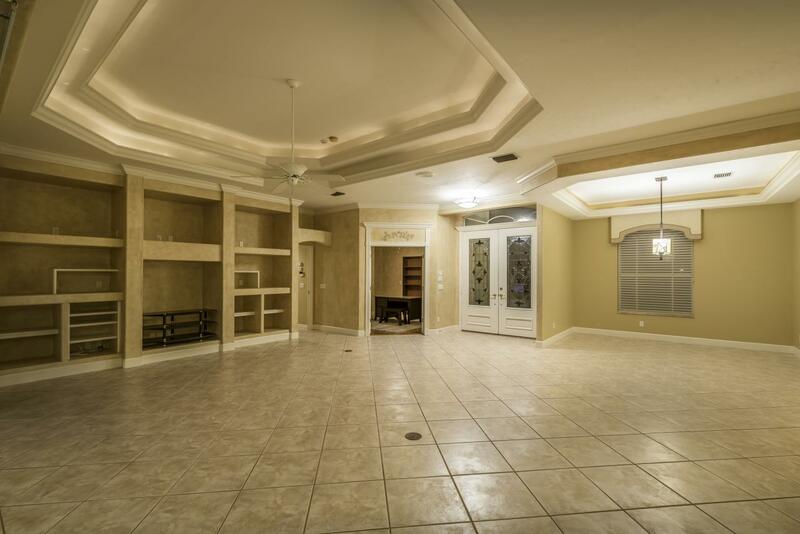 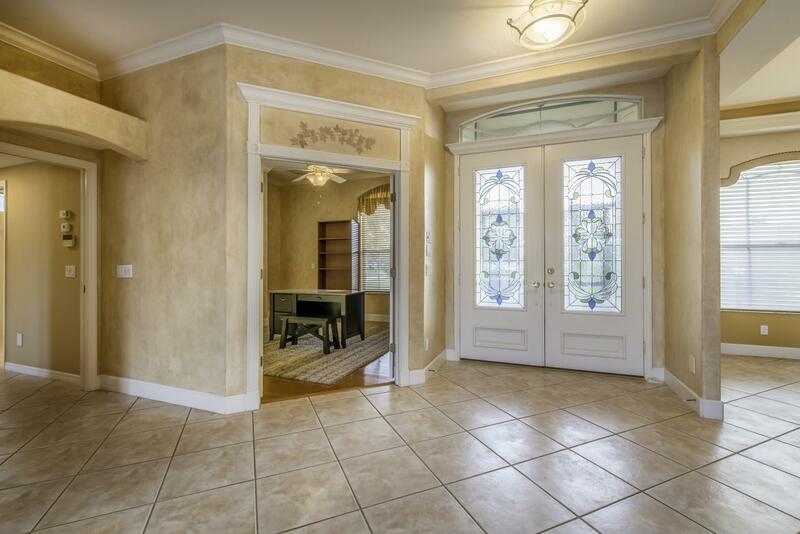 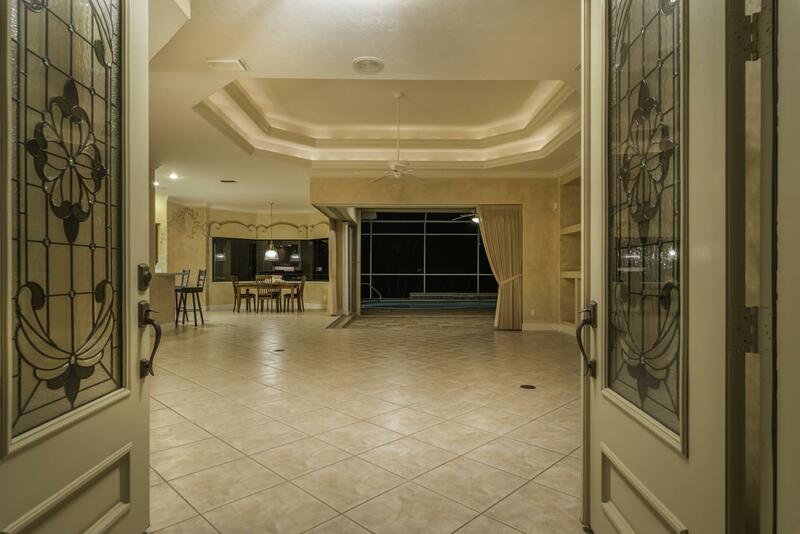 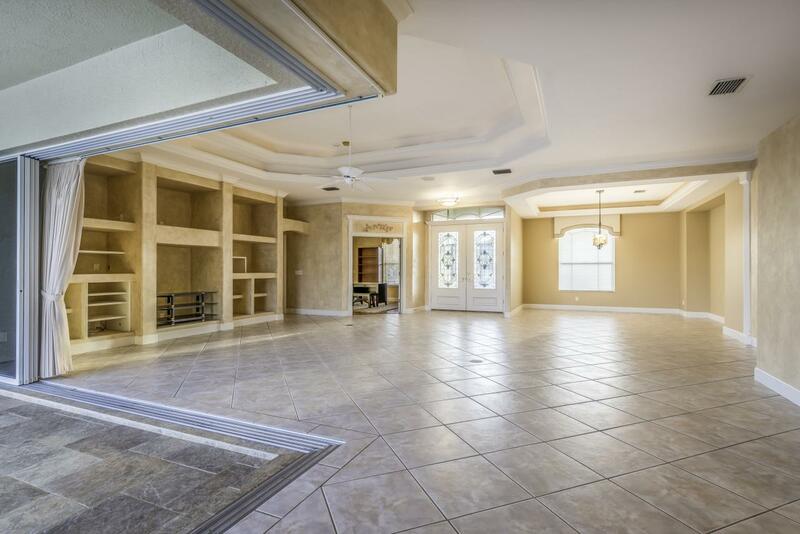 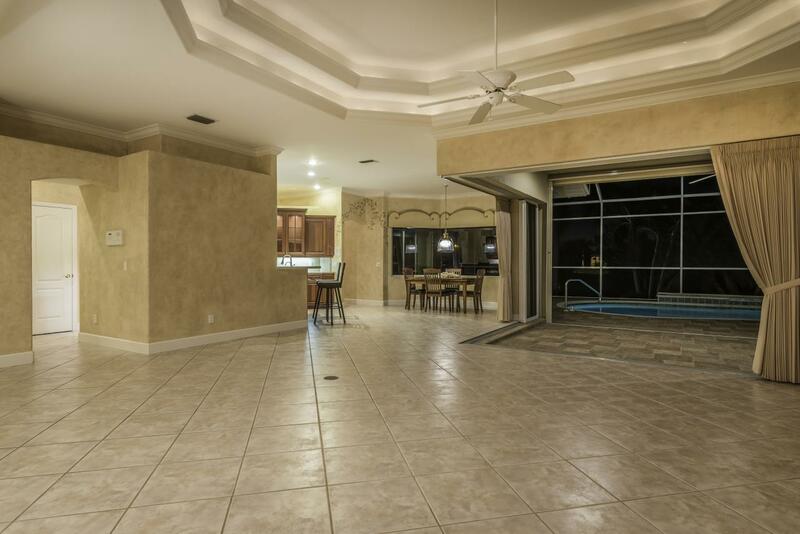 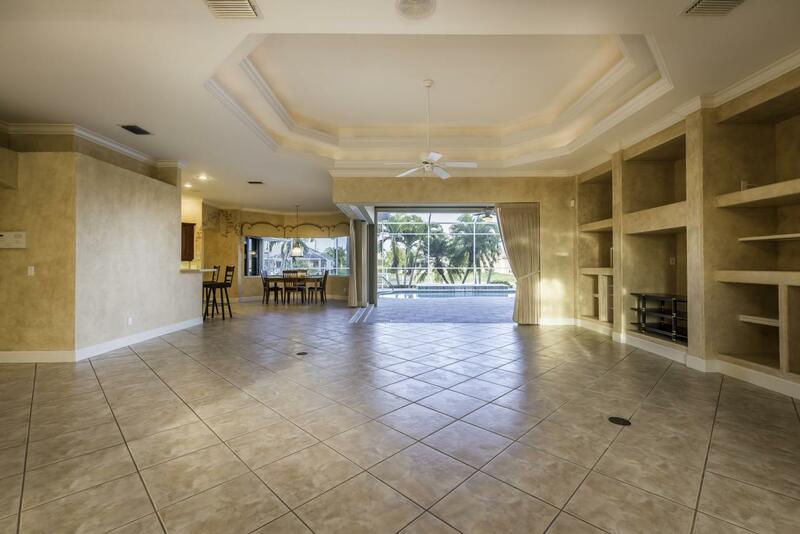 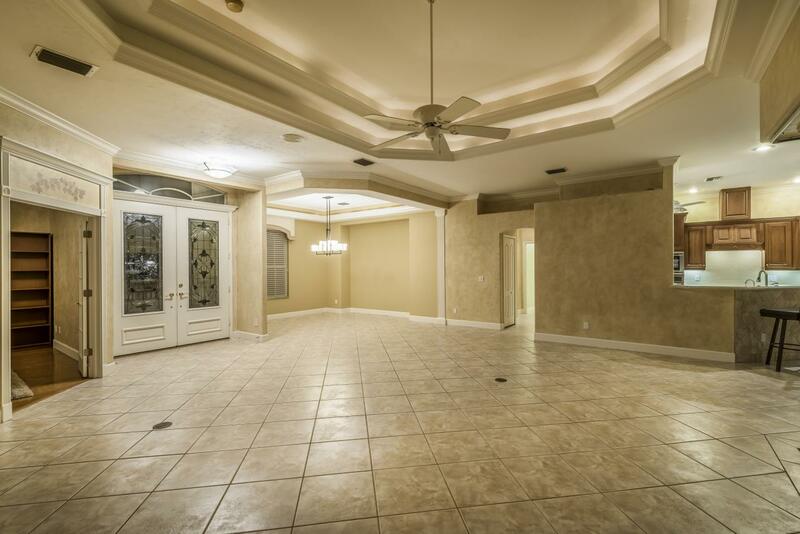 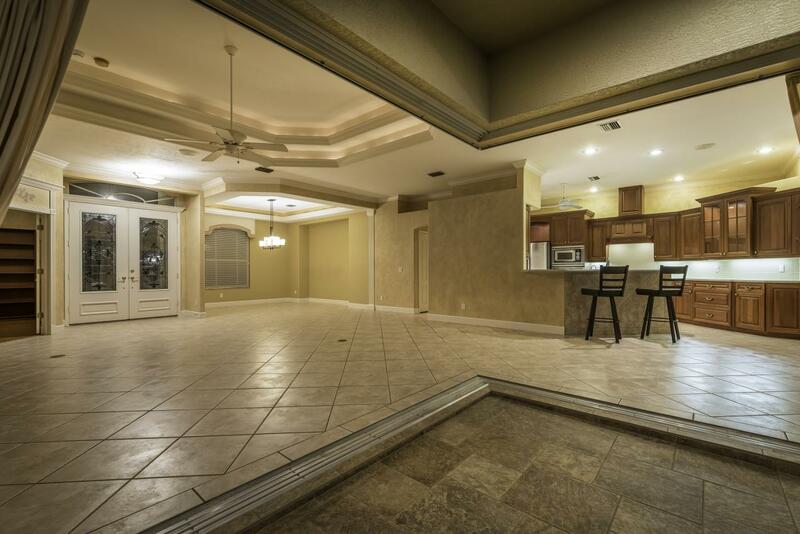 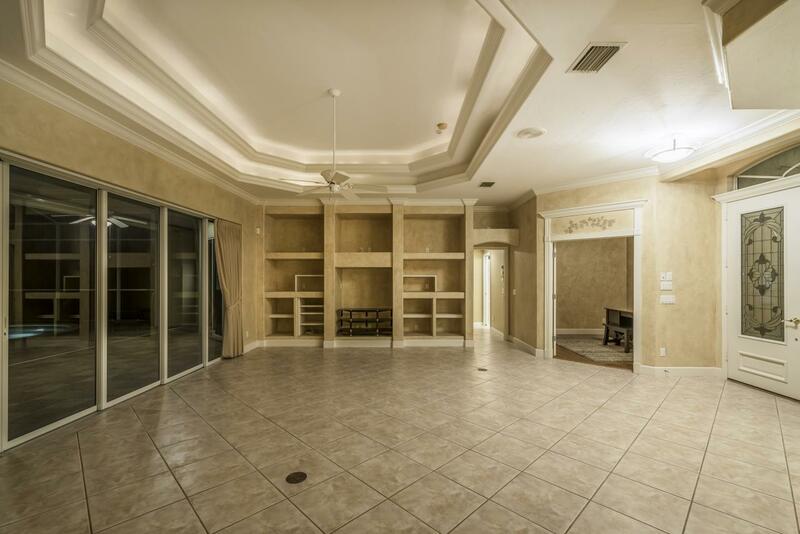 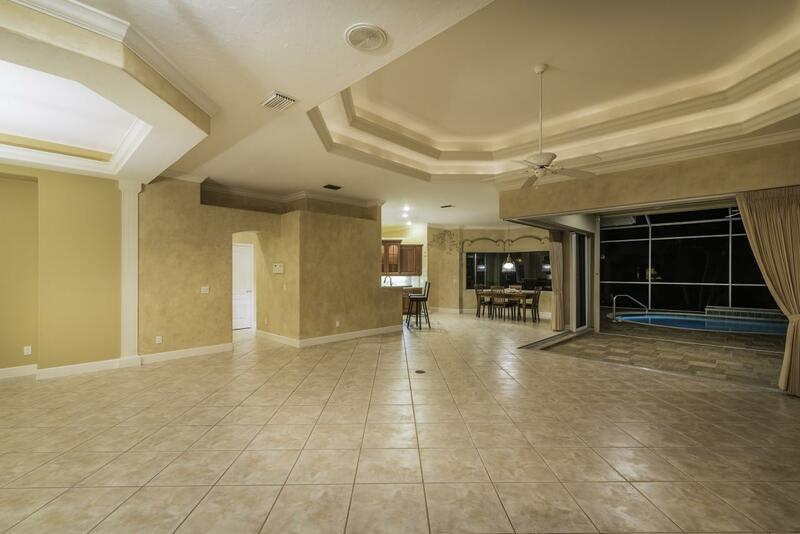 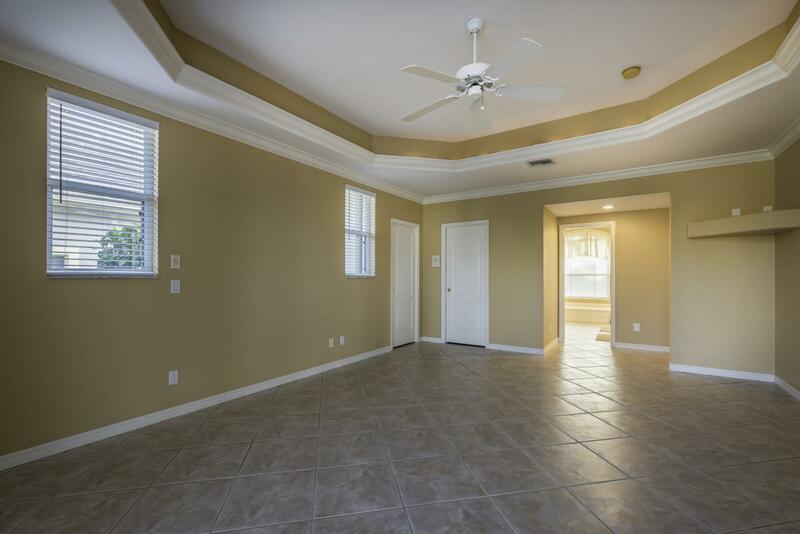 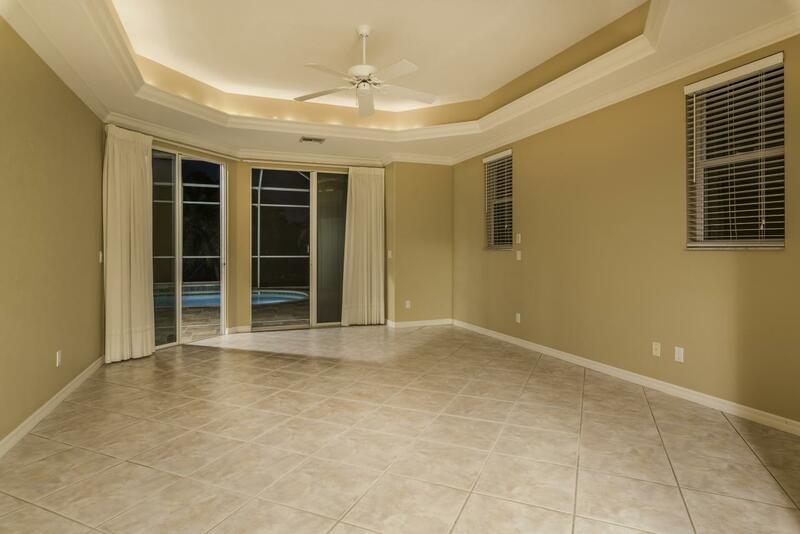 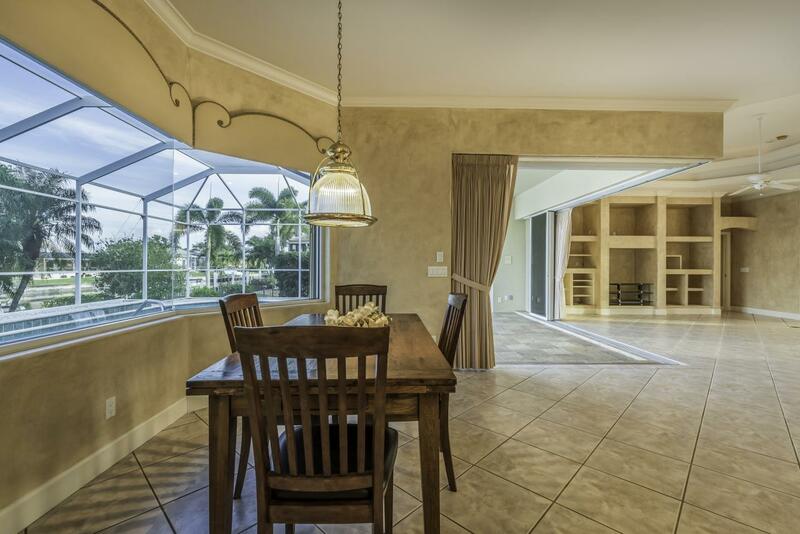 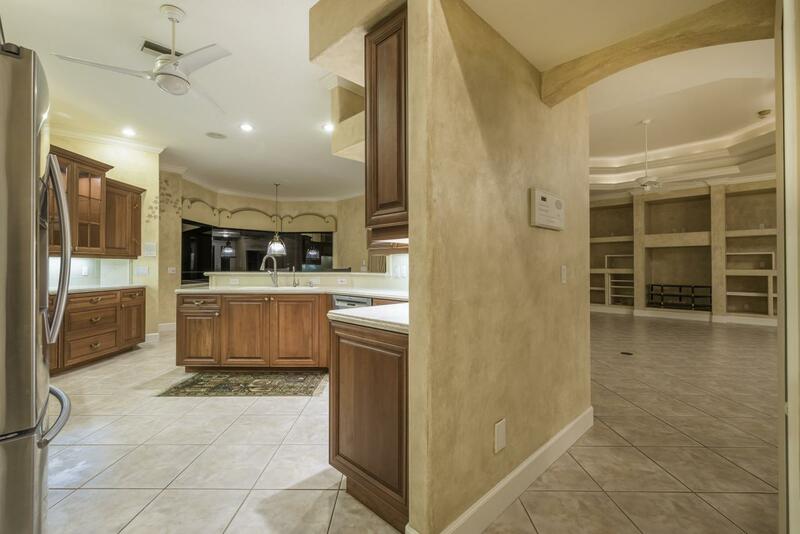 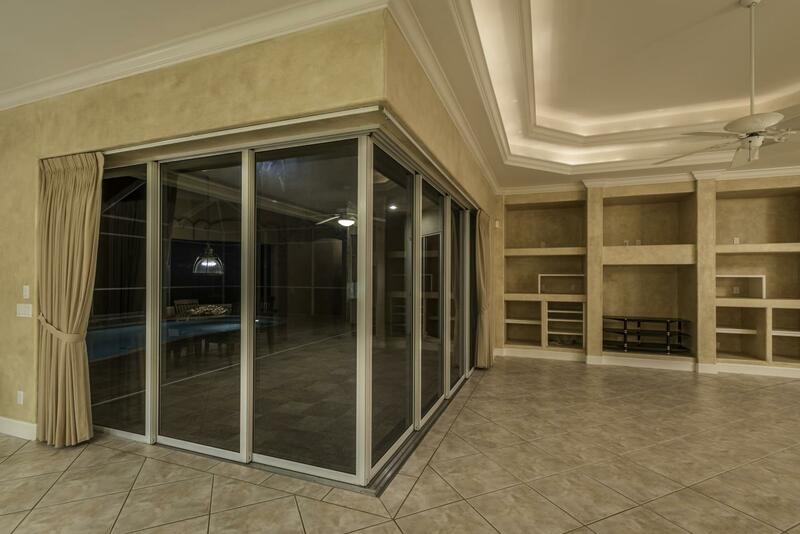 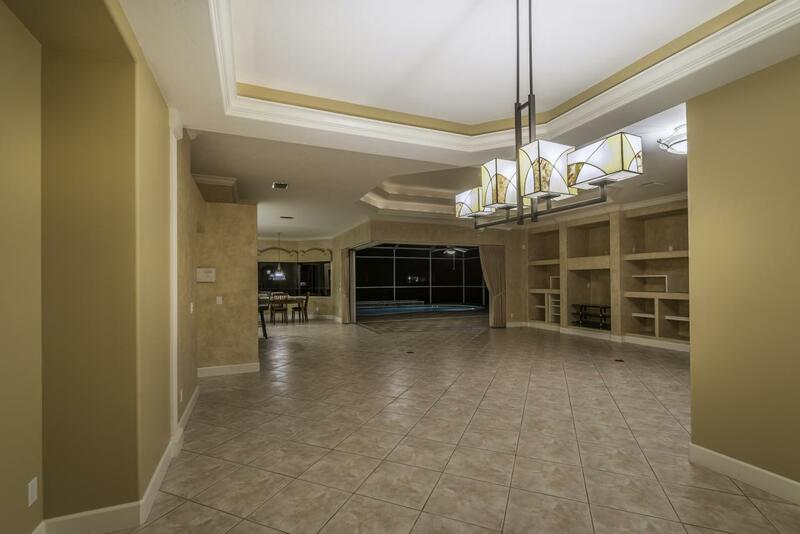 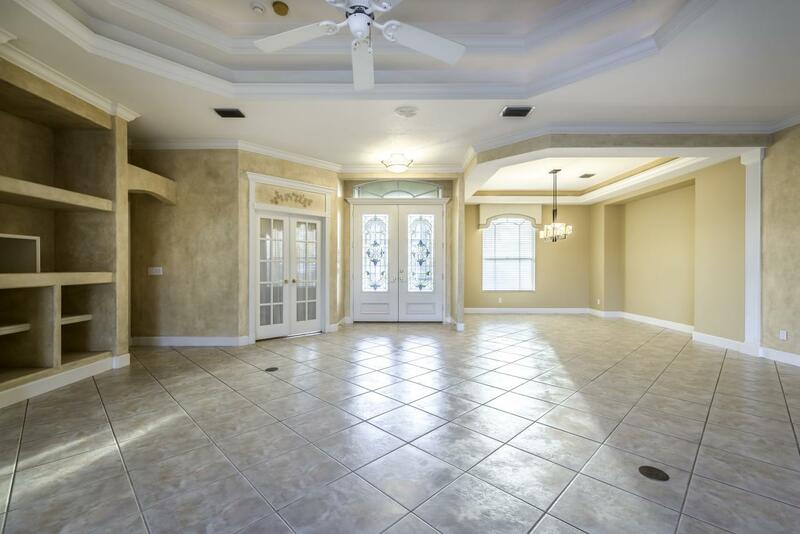 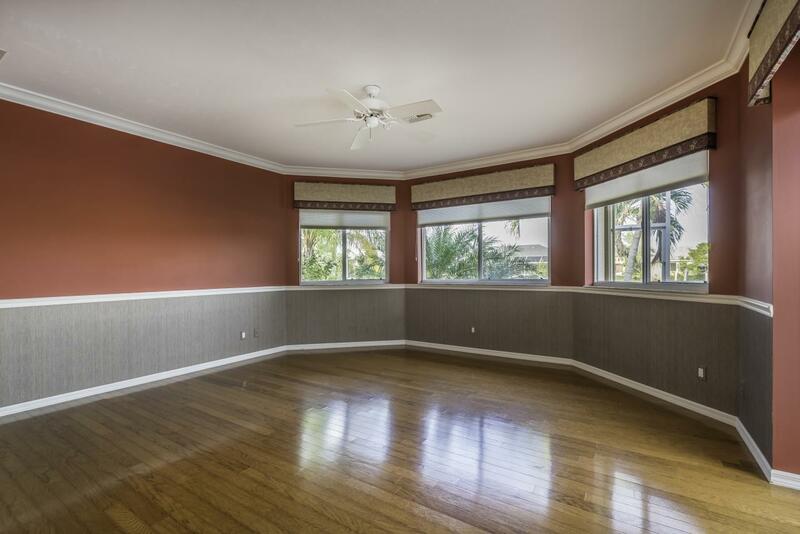 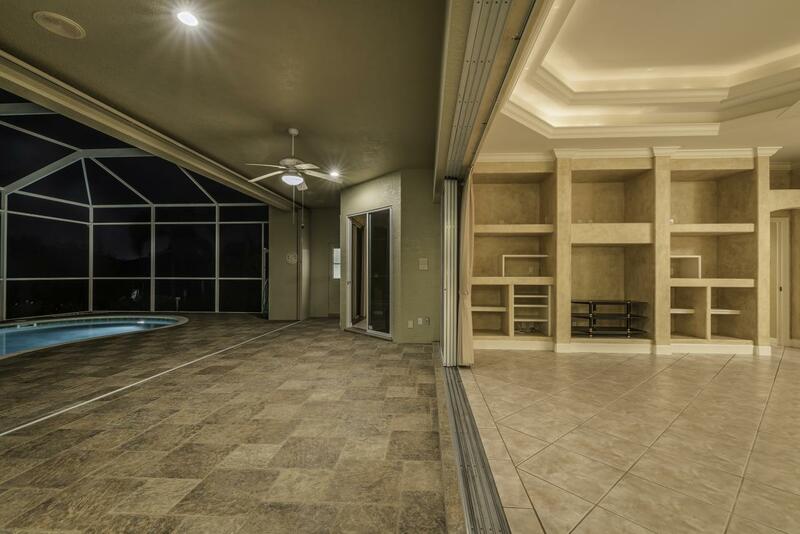 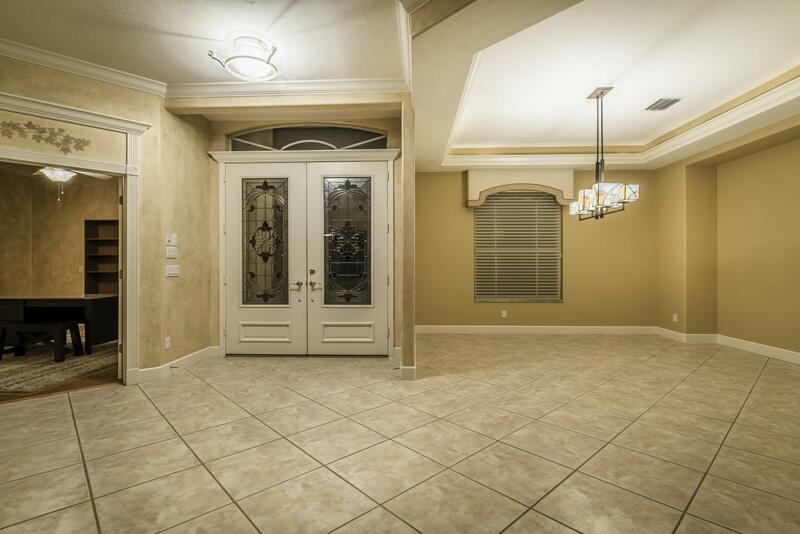 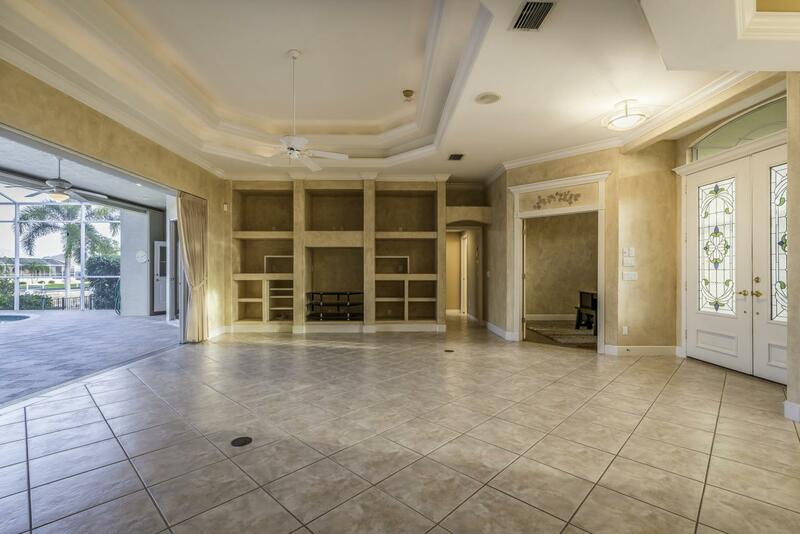 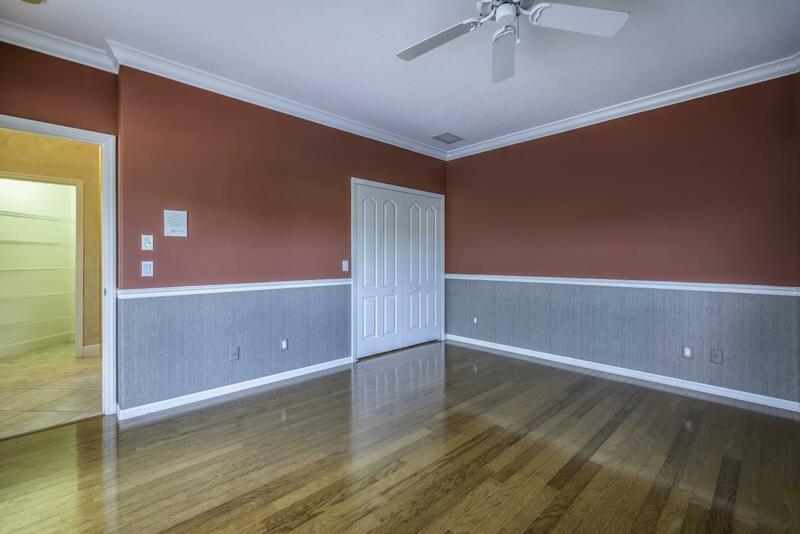 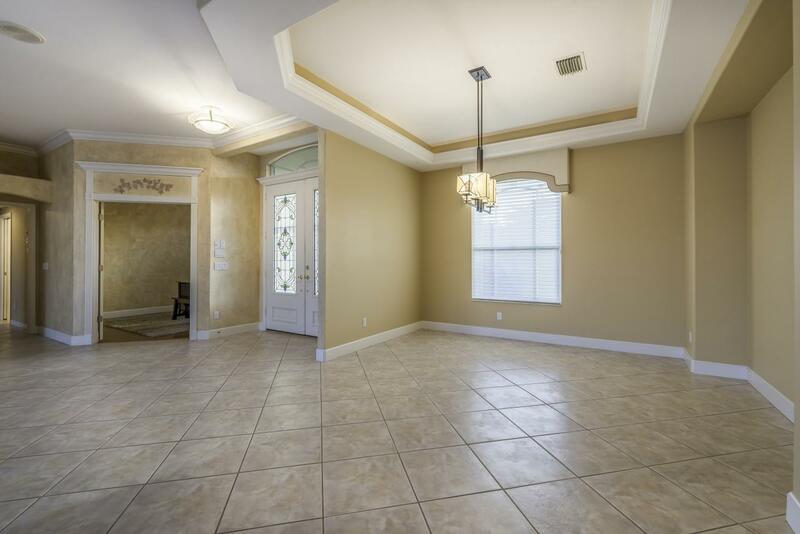 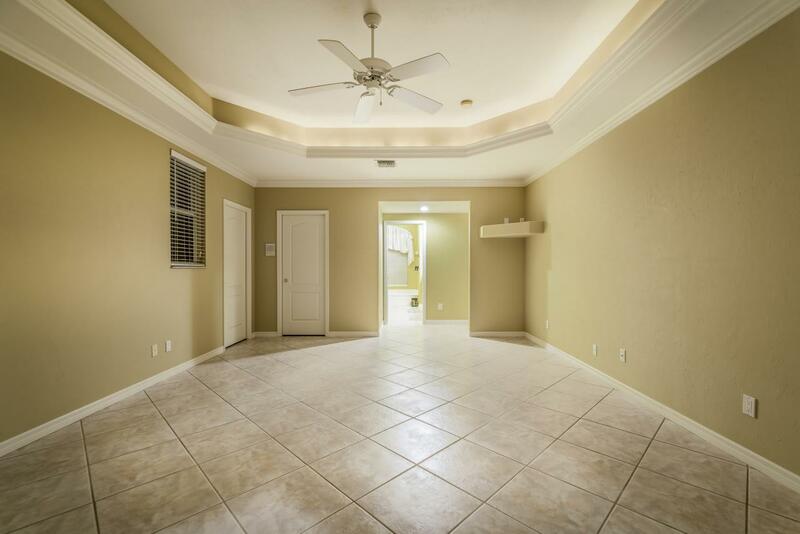 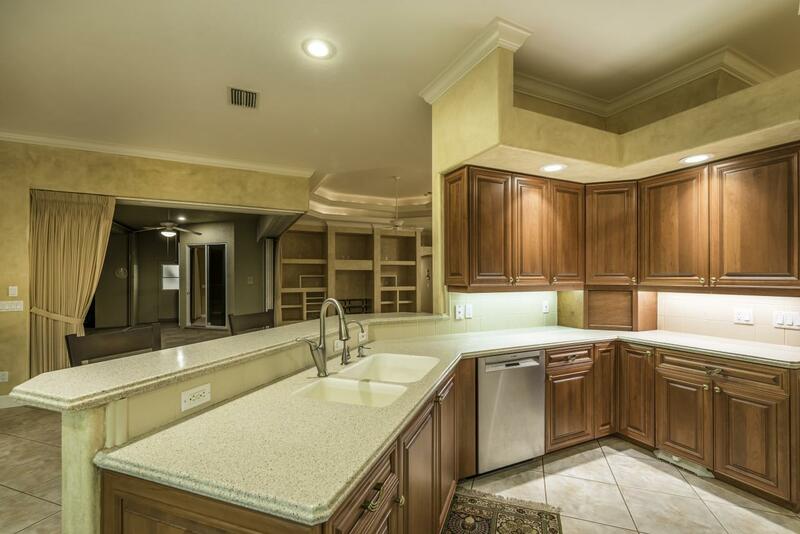 Custom built-ins, 20 inch tile floors and double-coffer lighted ceiling complete the details. 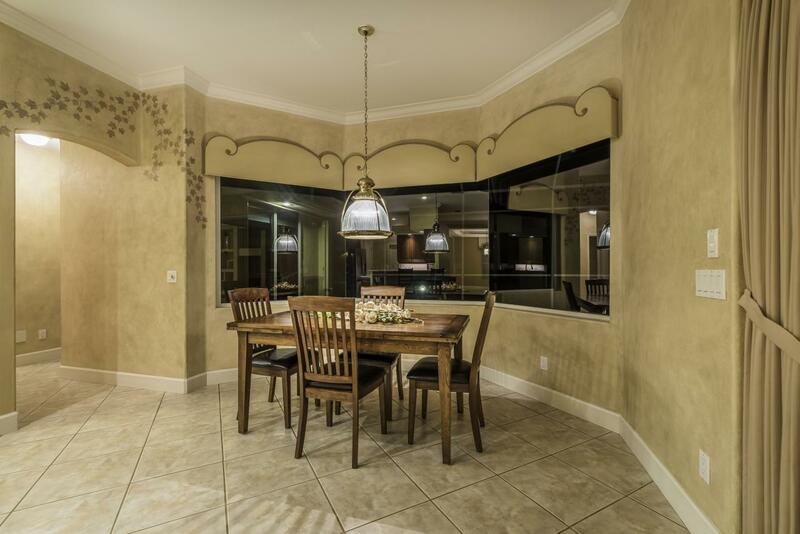 A formal dining area is sure to impress your family and friends for holidays and get-togethers. 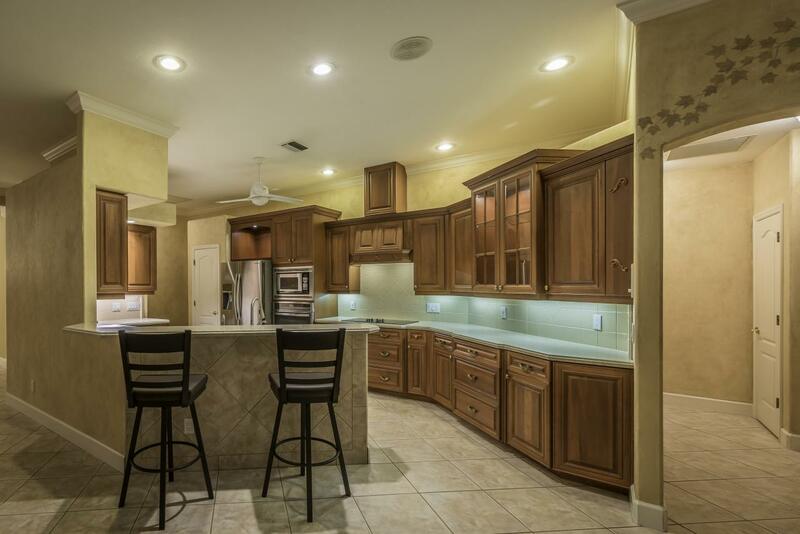 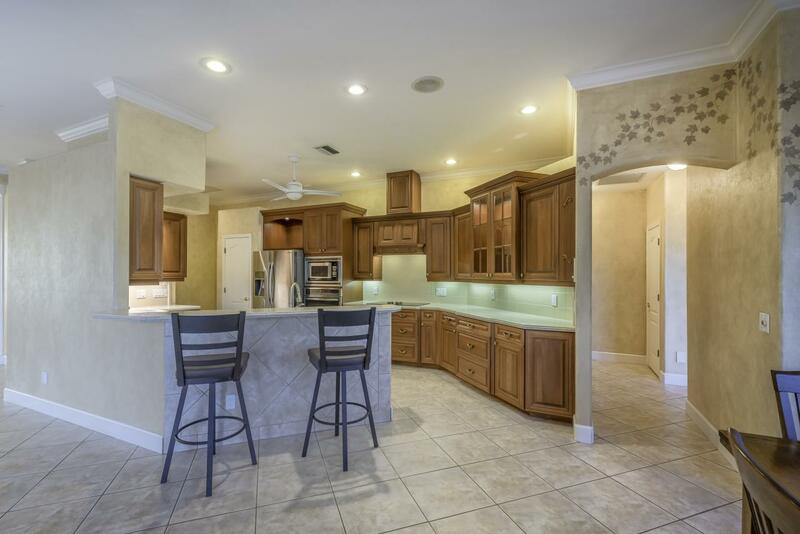 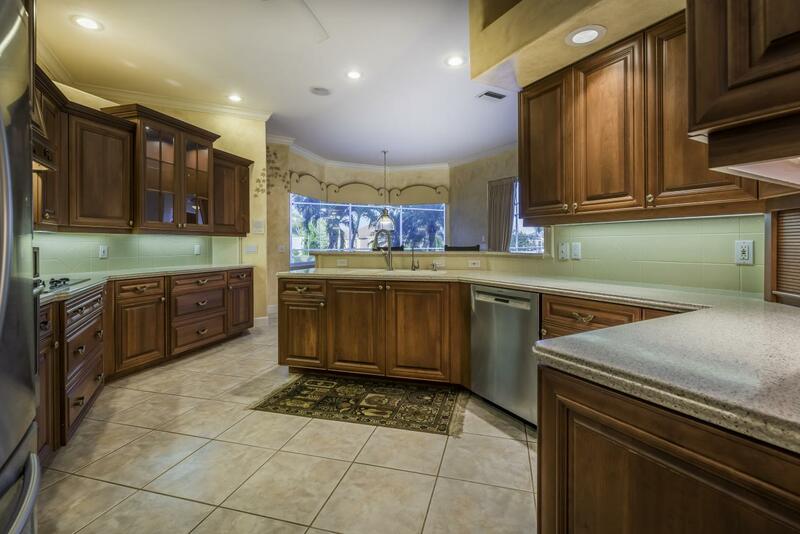 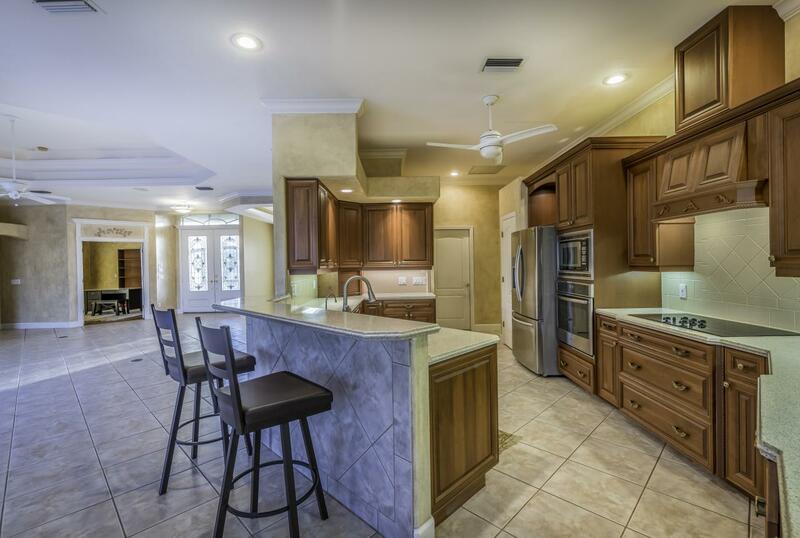 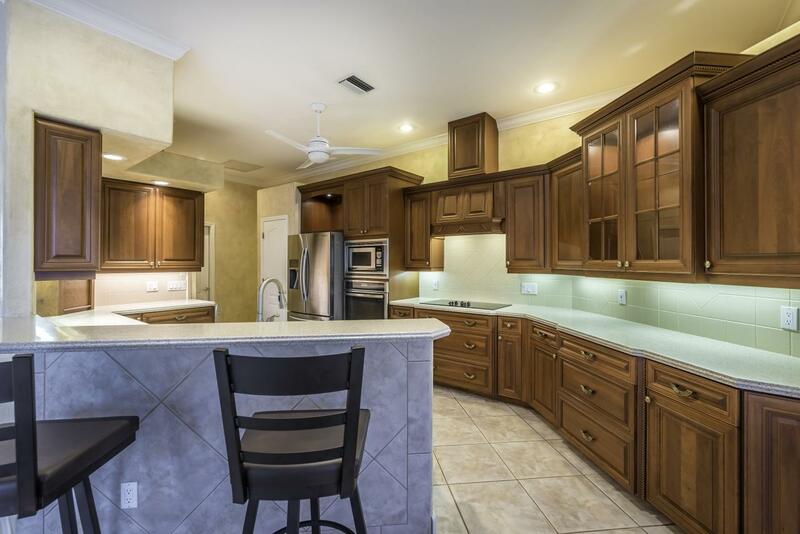 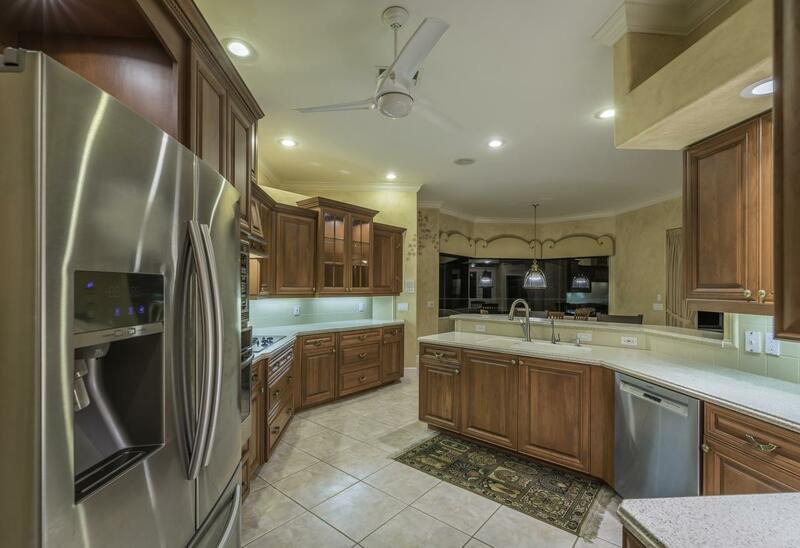 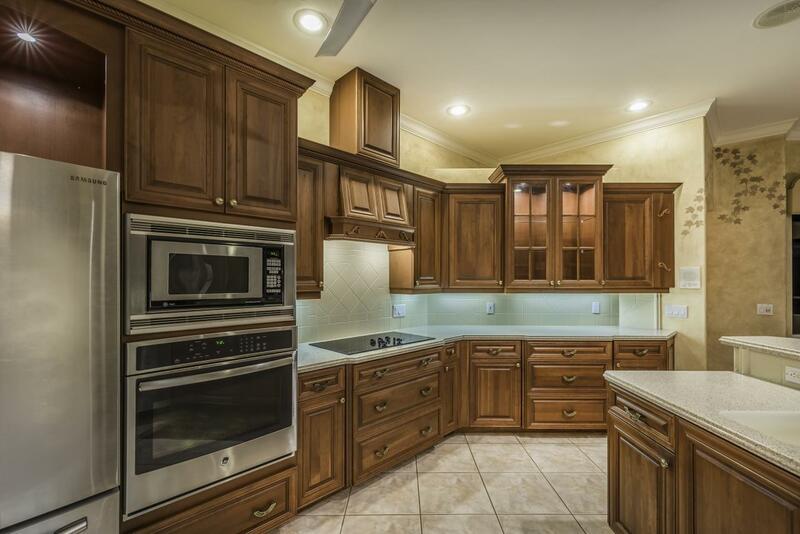 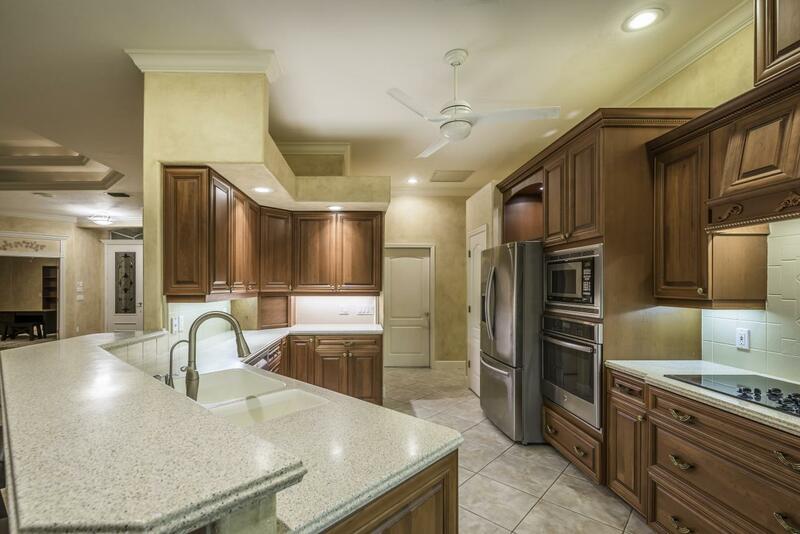 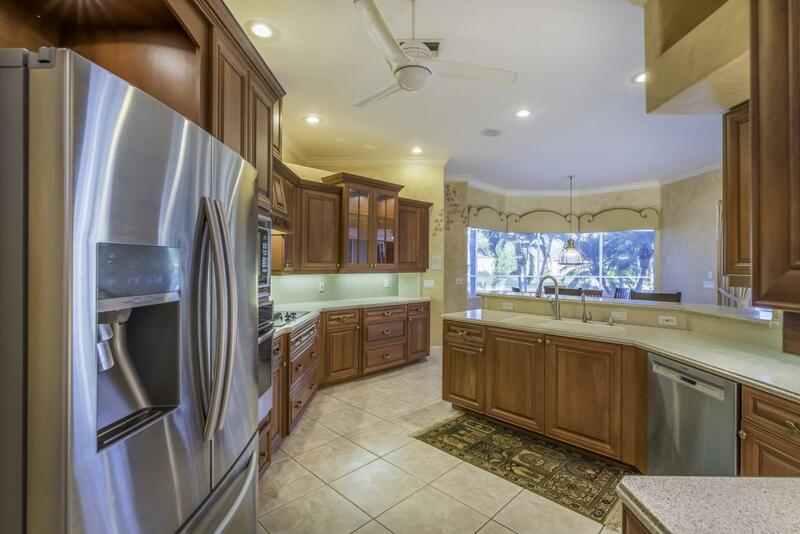 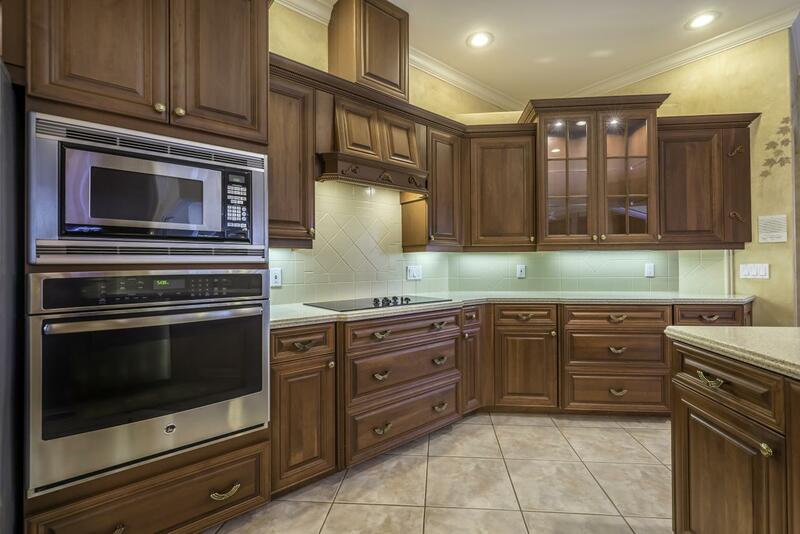 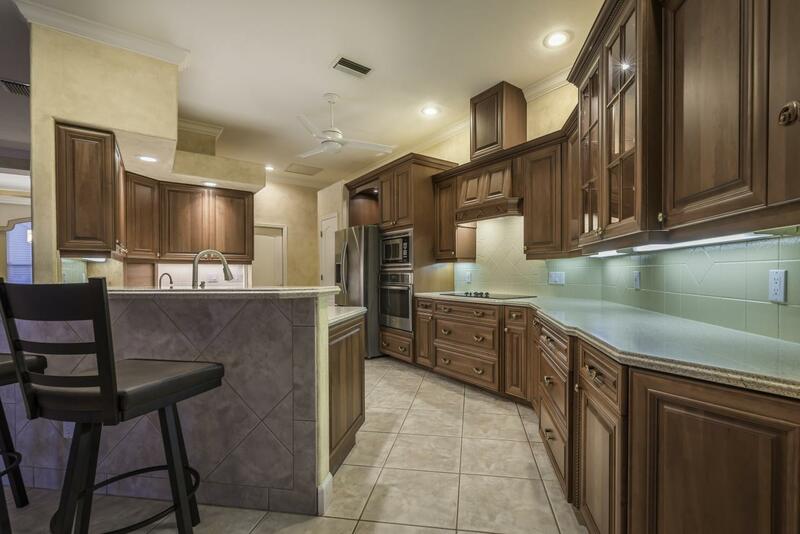 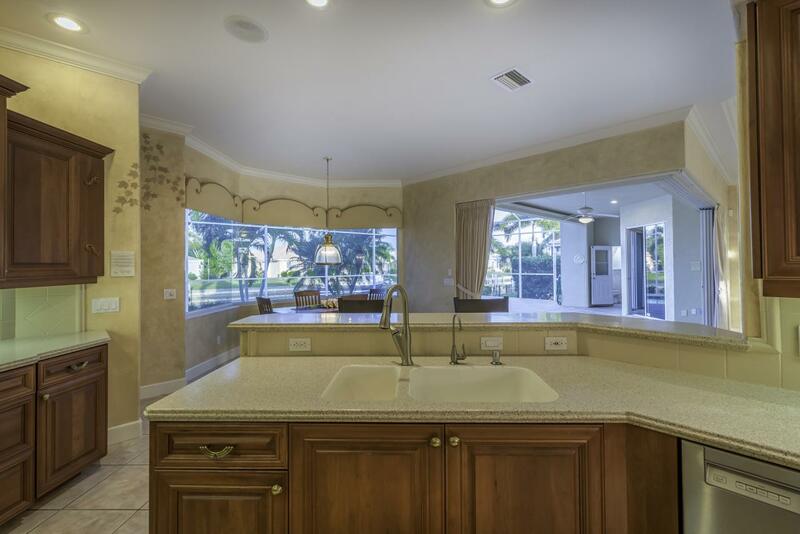 The chef in you will enjoy the large kitchen which features two pantries, solid surface counters, under cabinet lighting, breakfast bar and updated appliances. 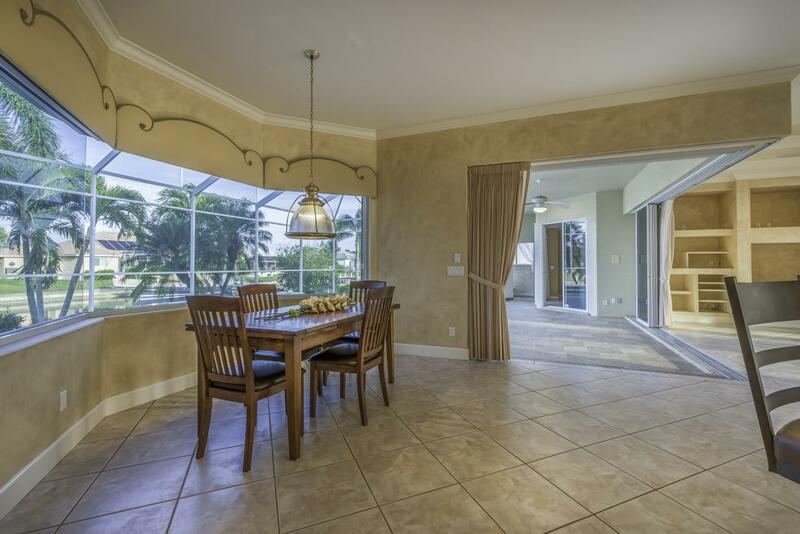 The adjacent breakfast nook has a large aquarium window for beautiful views of the pool and waterfront. 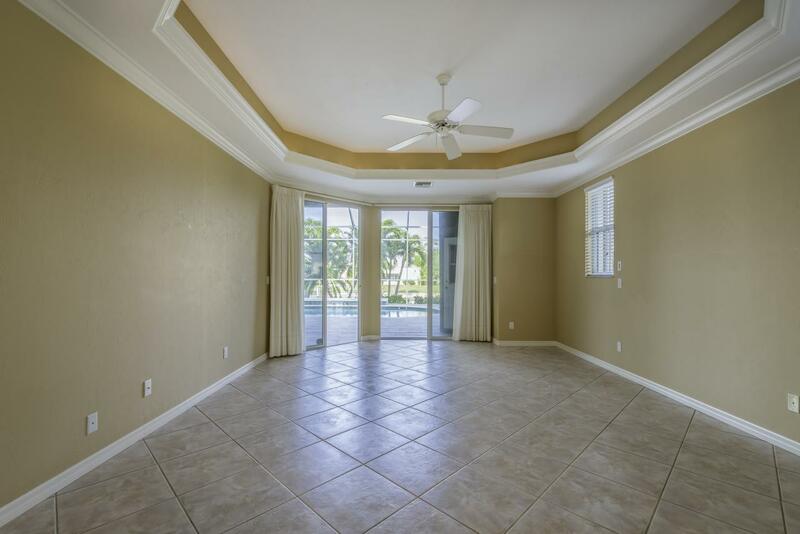 The split bedroom plan features a master suite with two walk-in closets and sliders to the lanai and pool. 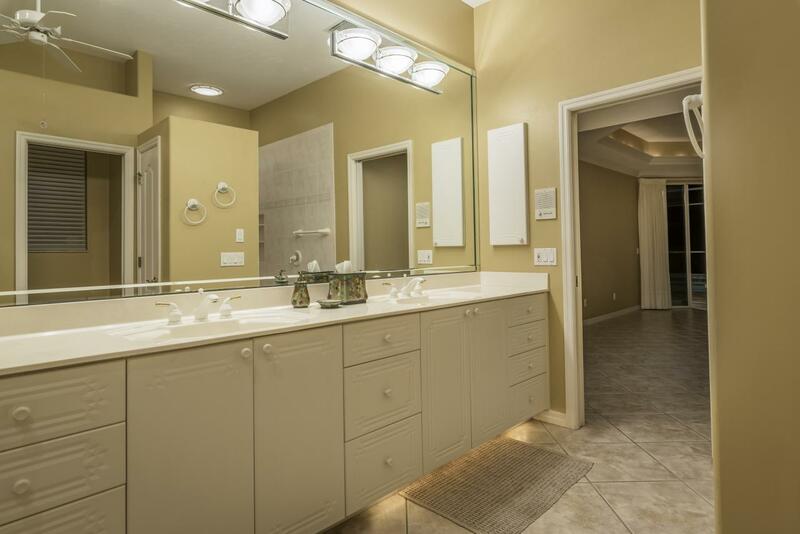 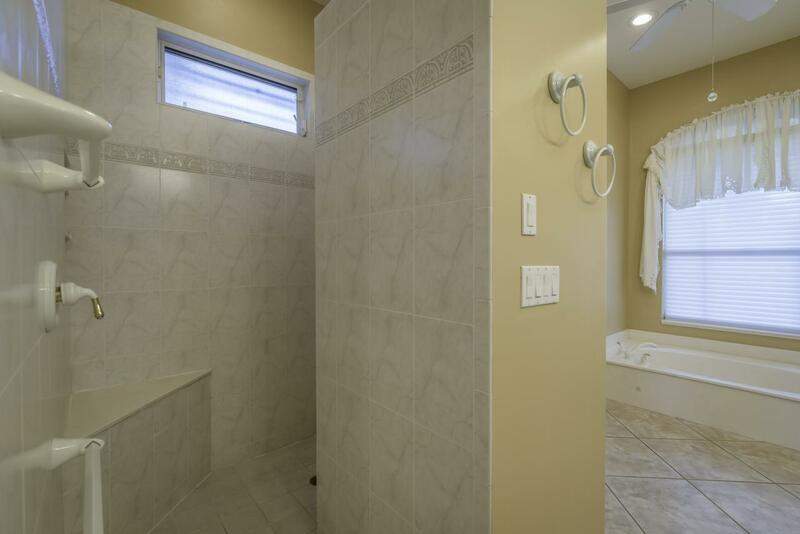 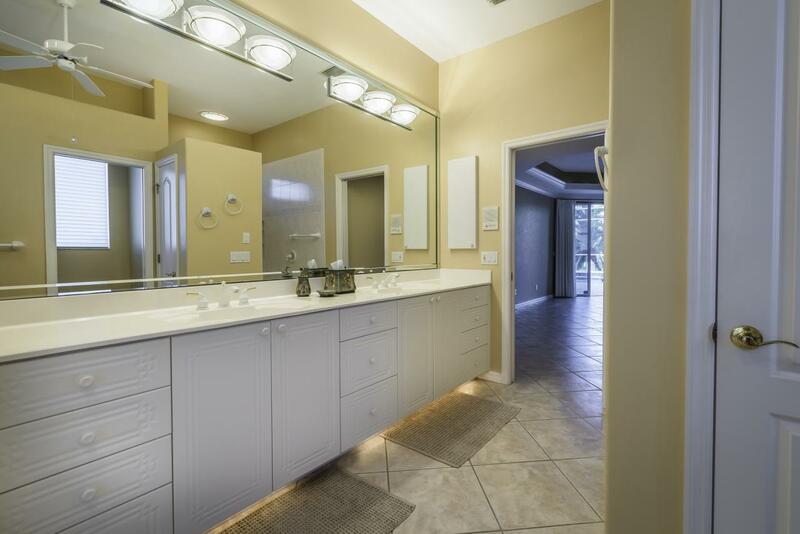 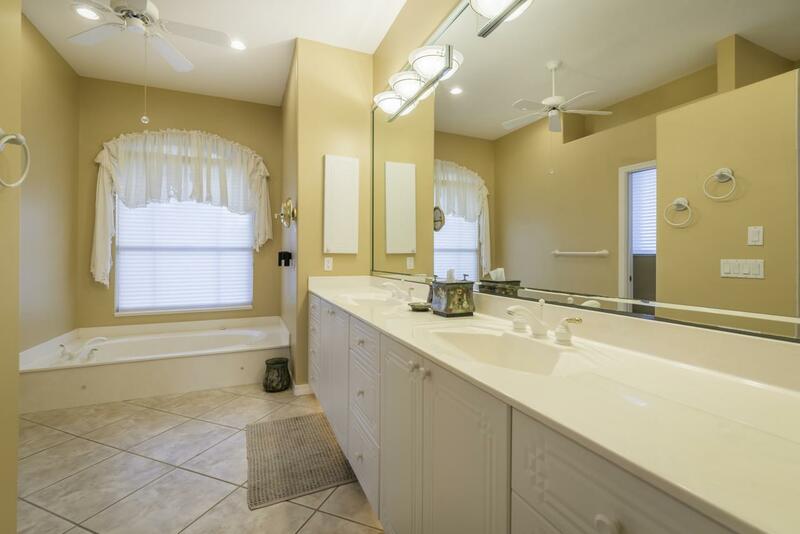 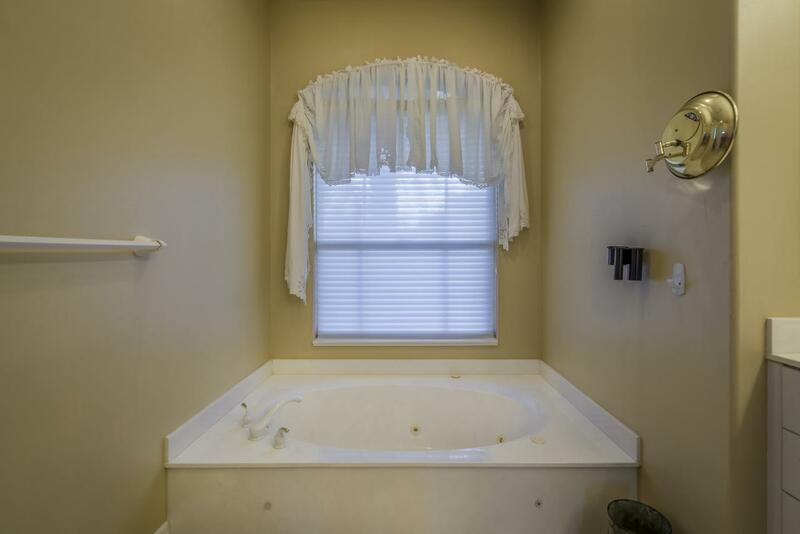 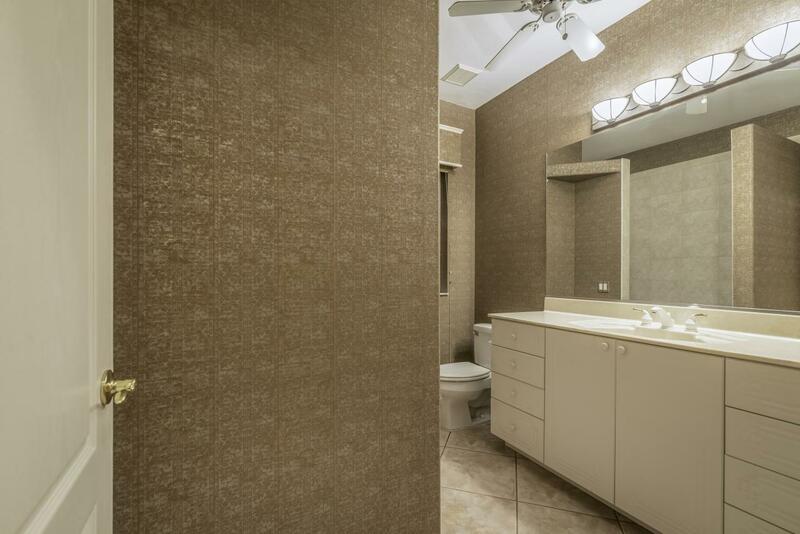 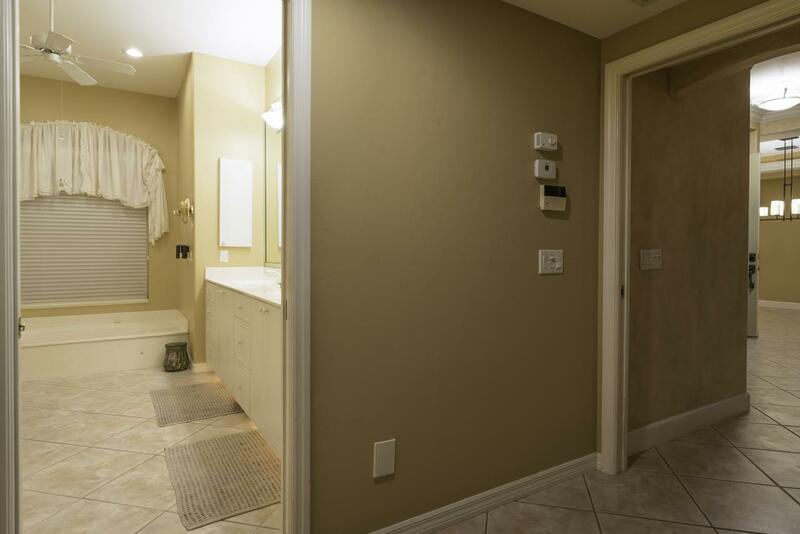 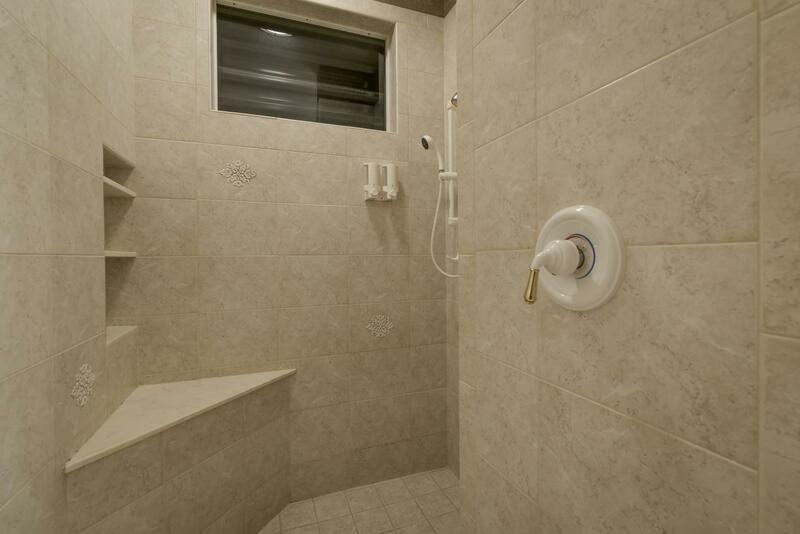 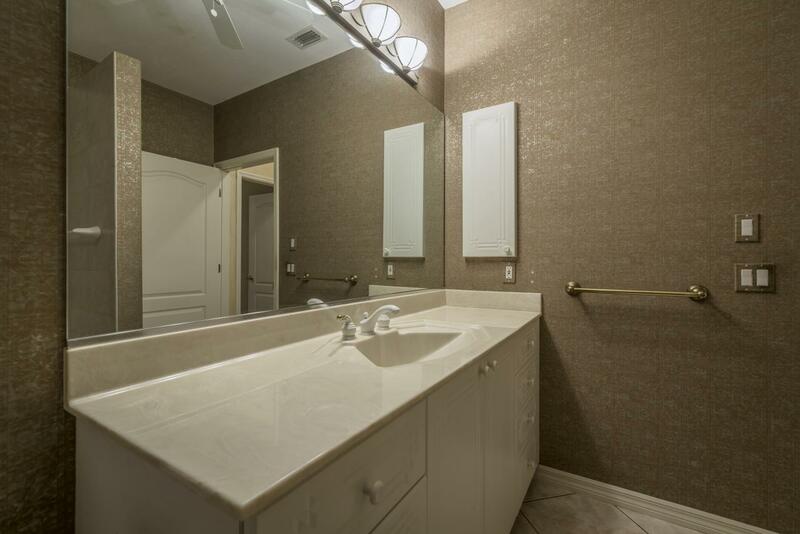 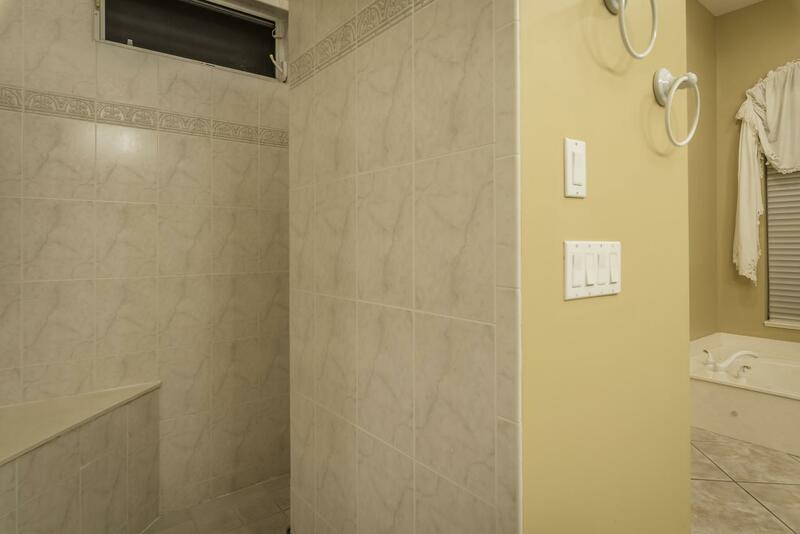 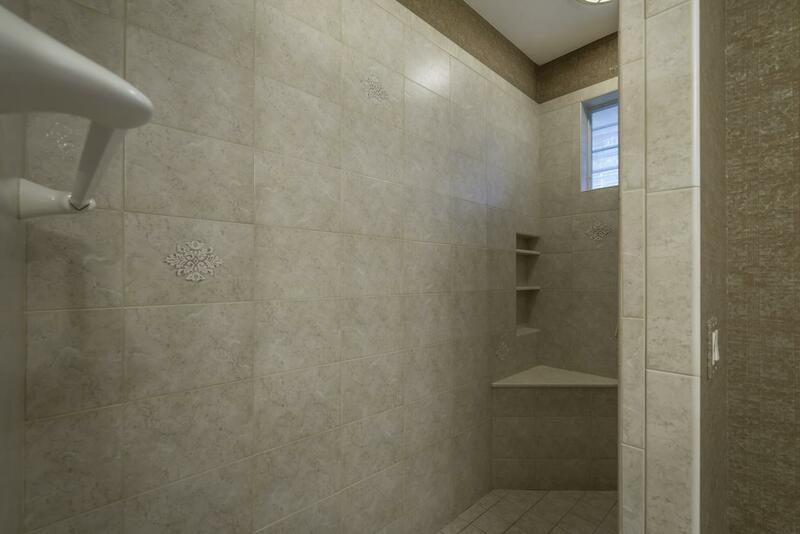 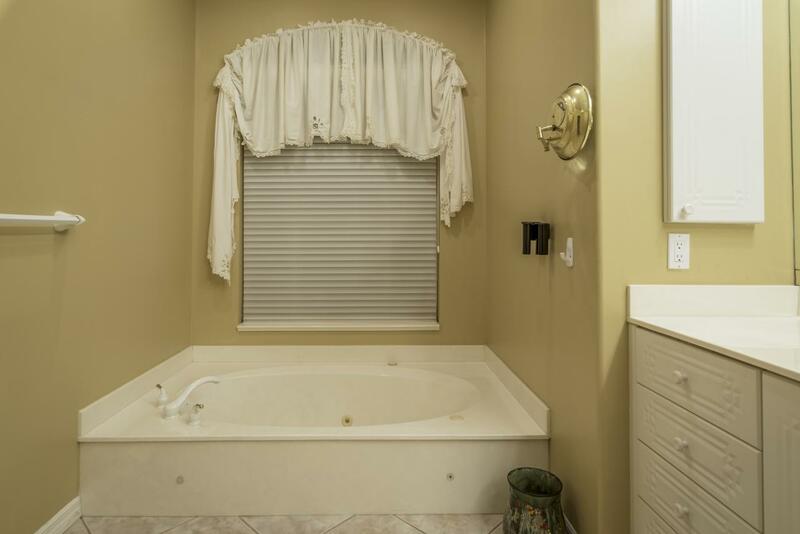 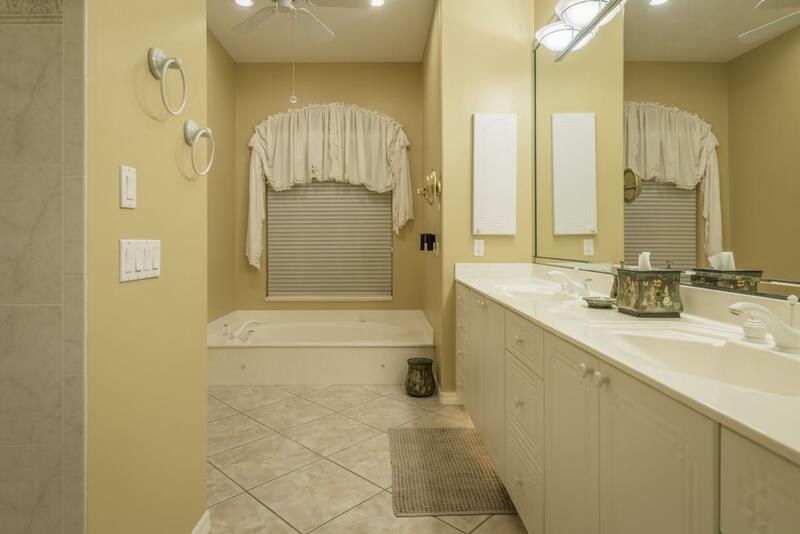 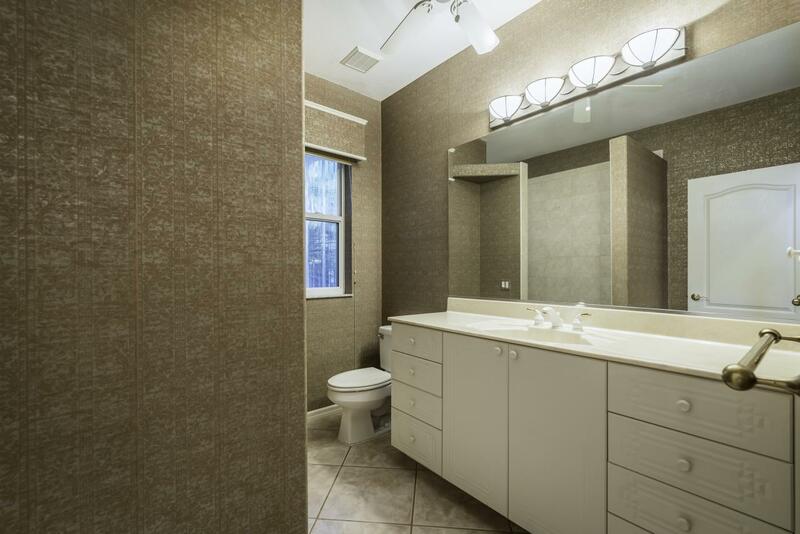 The master bath features dual sinks, garden tub, tiled walk-in shower and a water closet. 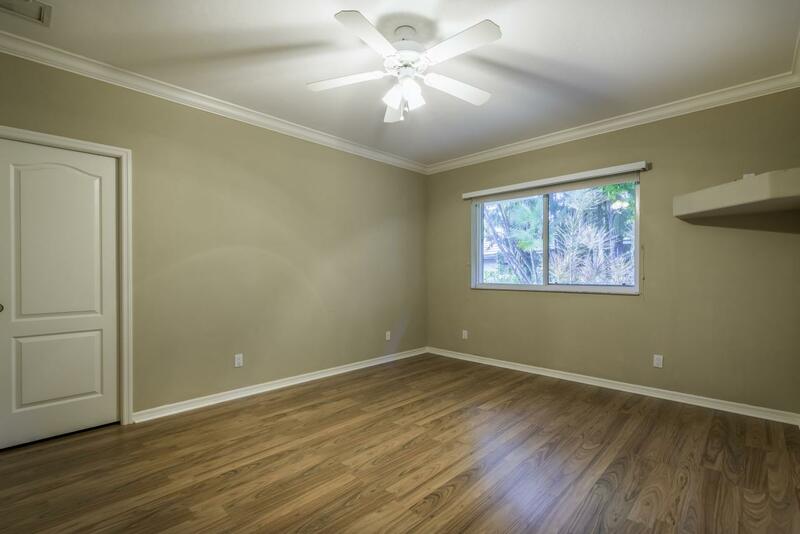 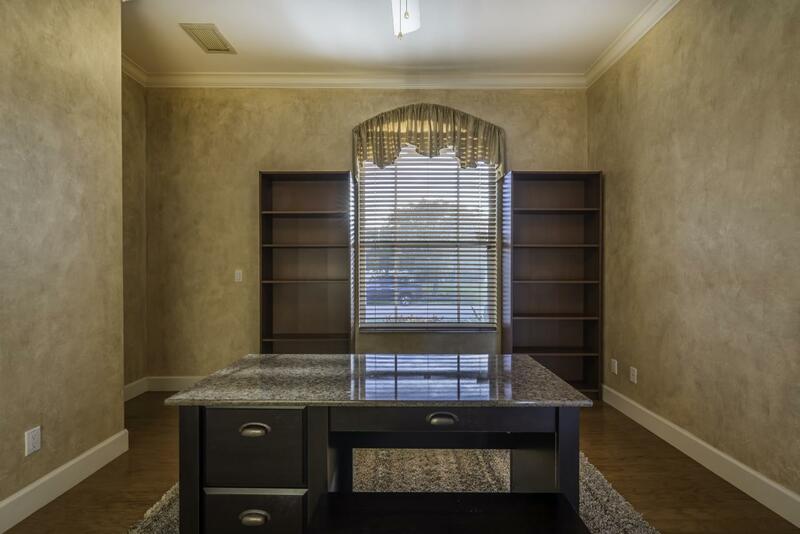 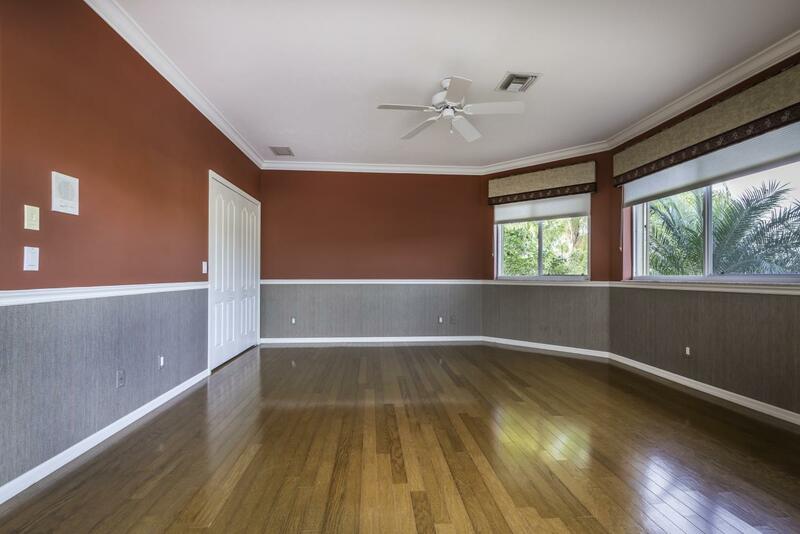 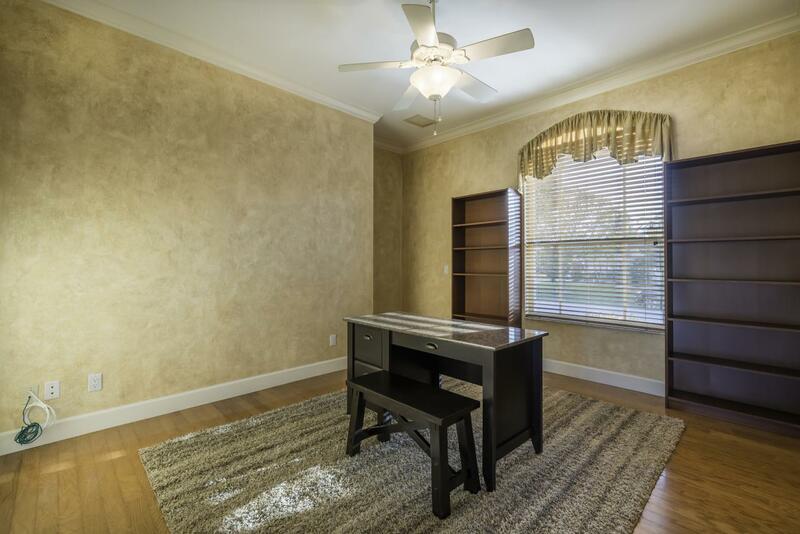 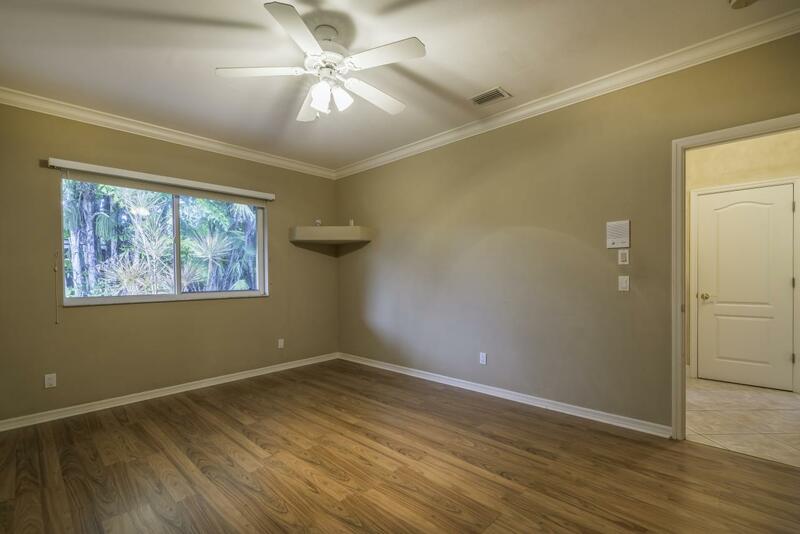 Adjacent to the master suite, you'll find a den that makes a great office or even playroom space. 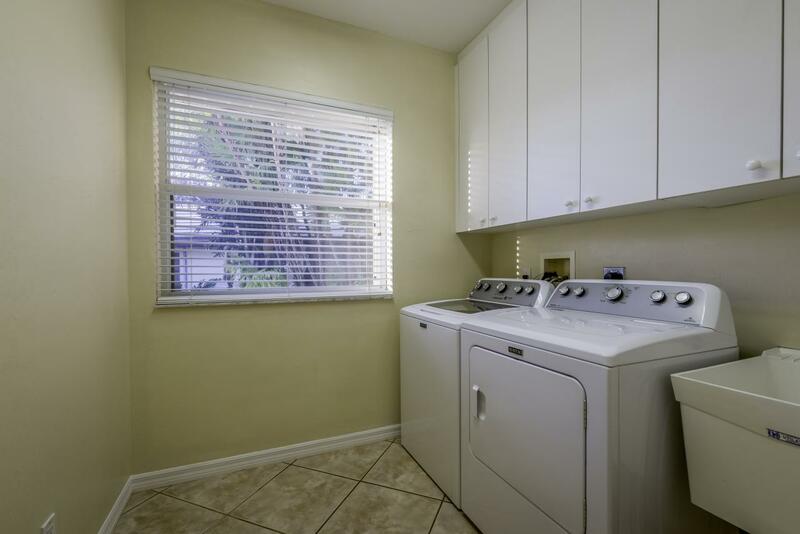 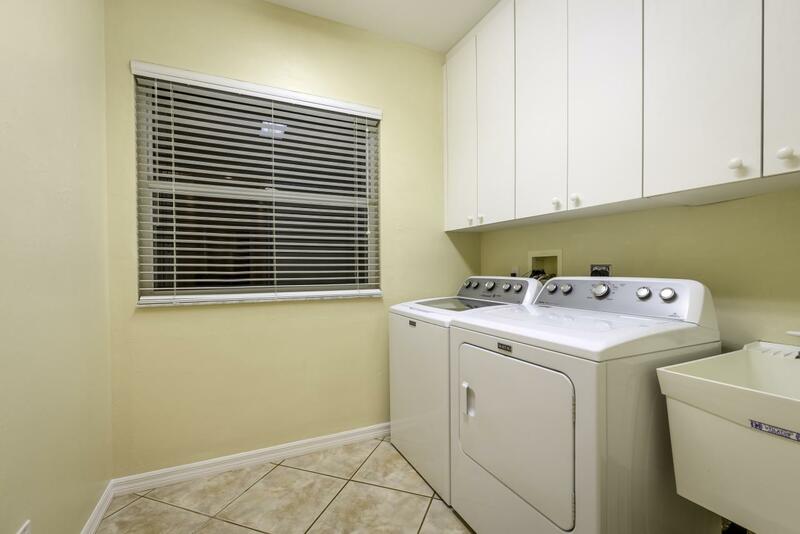 An interior laundry room has a large walk-in storage closet and utility sink for keeping messes contained. 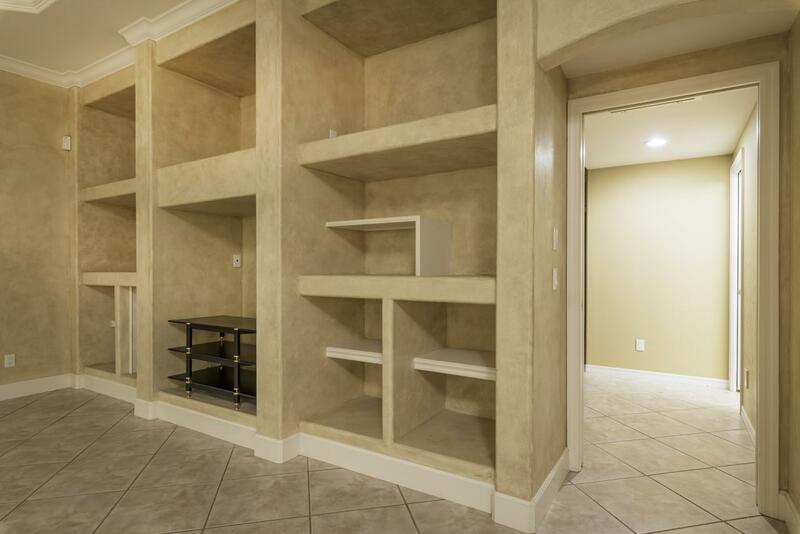 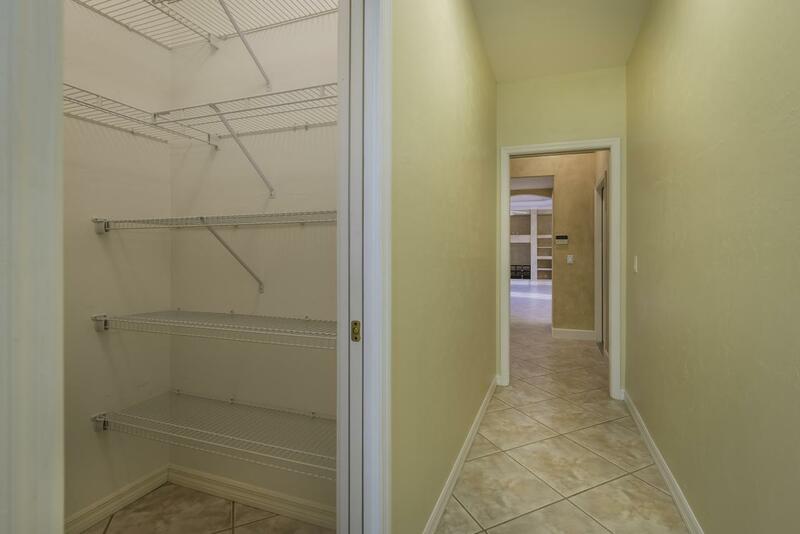 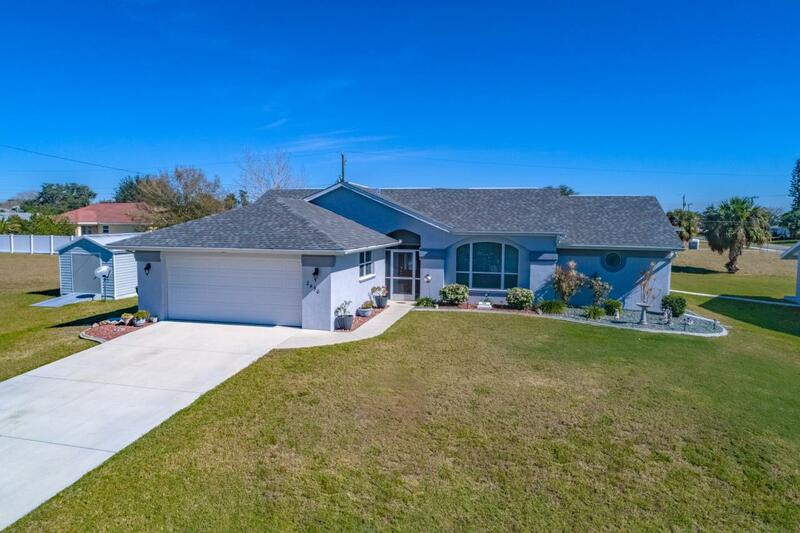 The large 3 car garage has plenty of room for vehicles and toys. 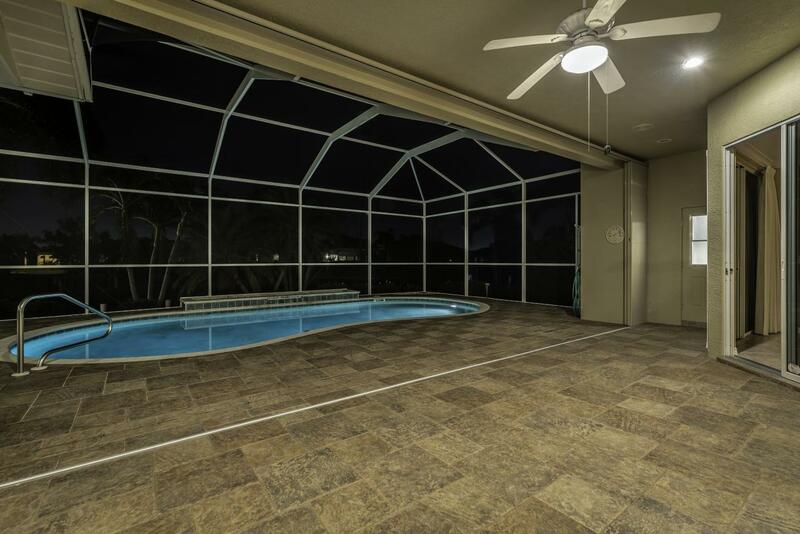 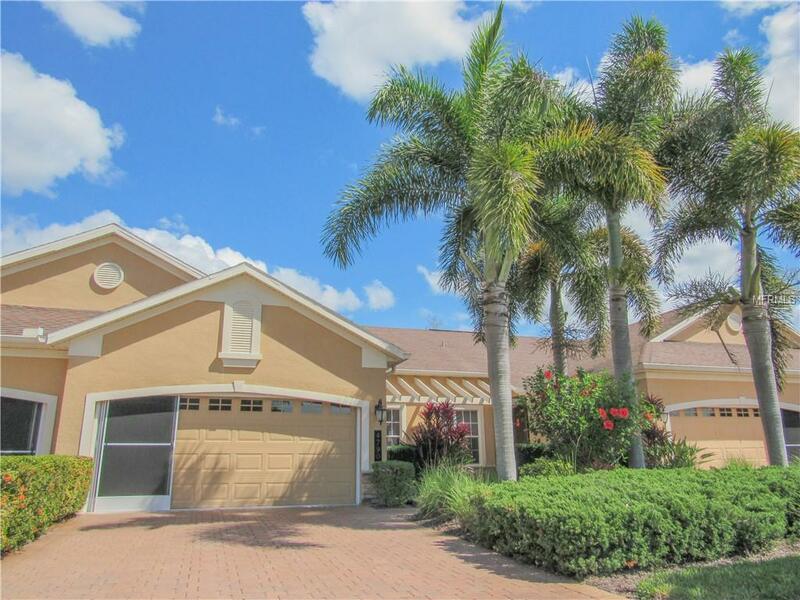 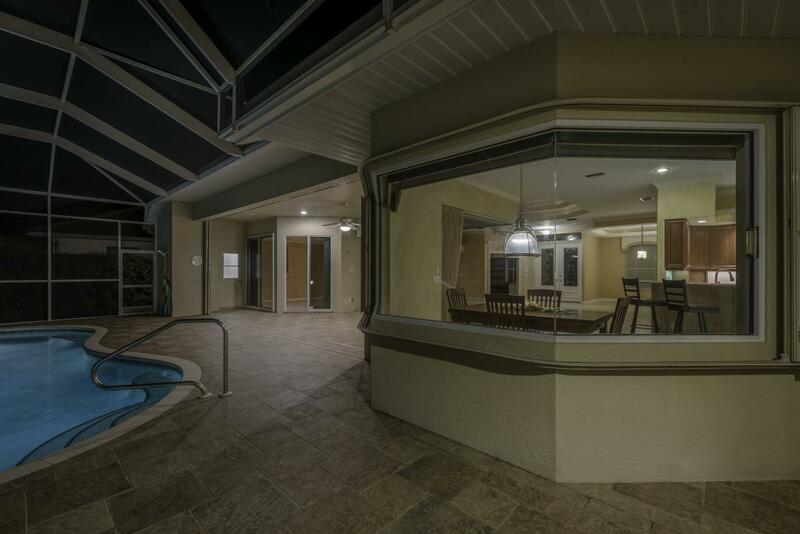 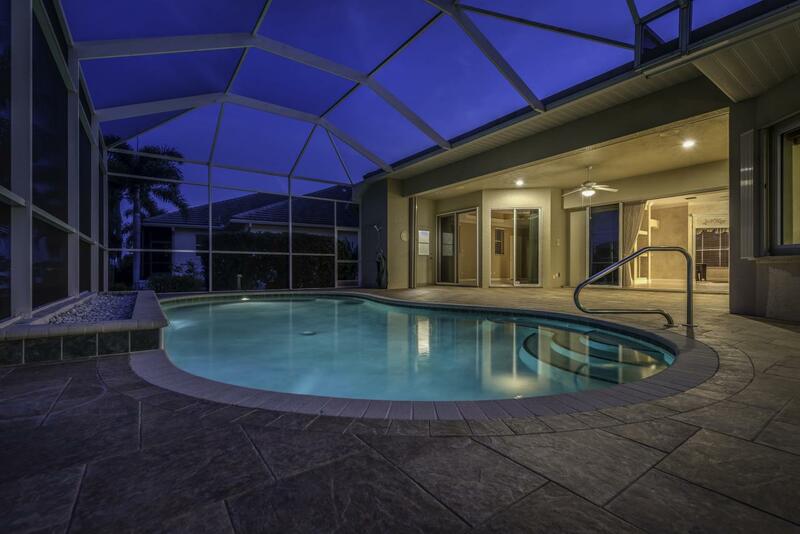 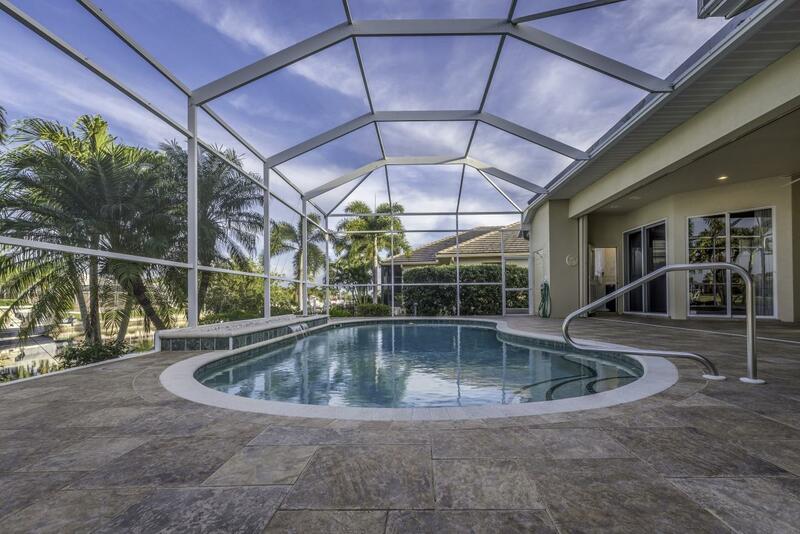 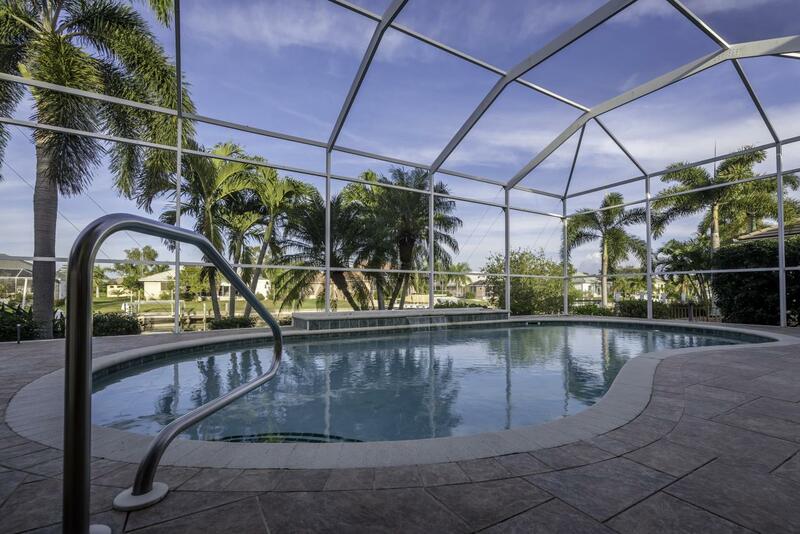 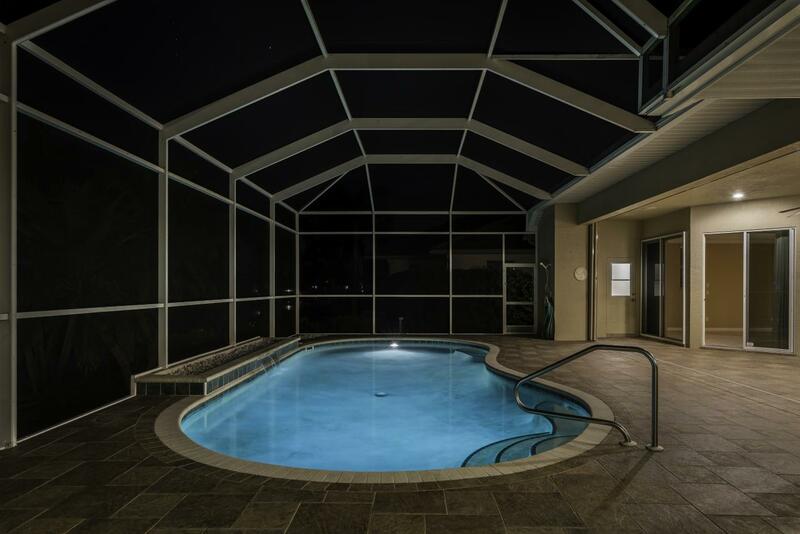 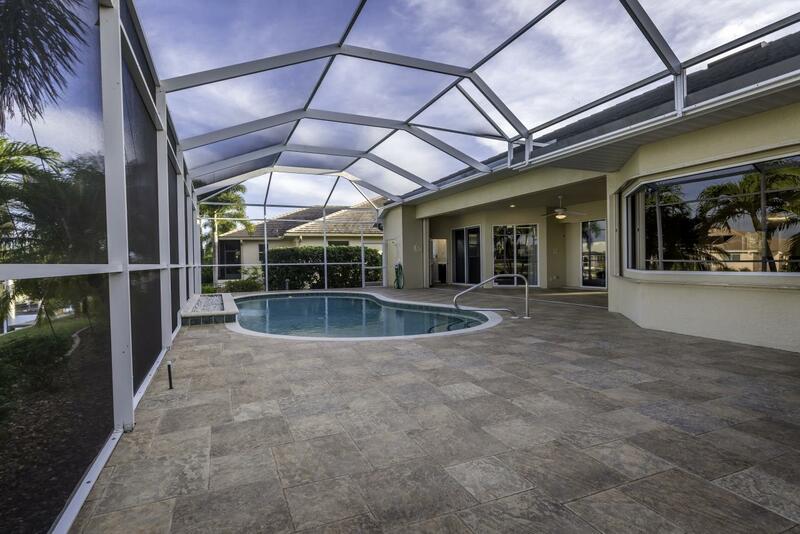 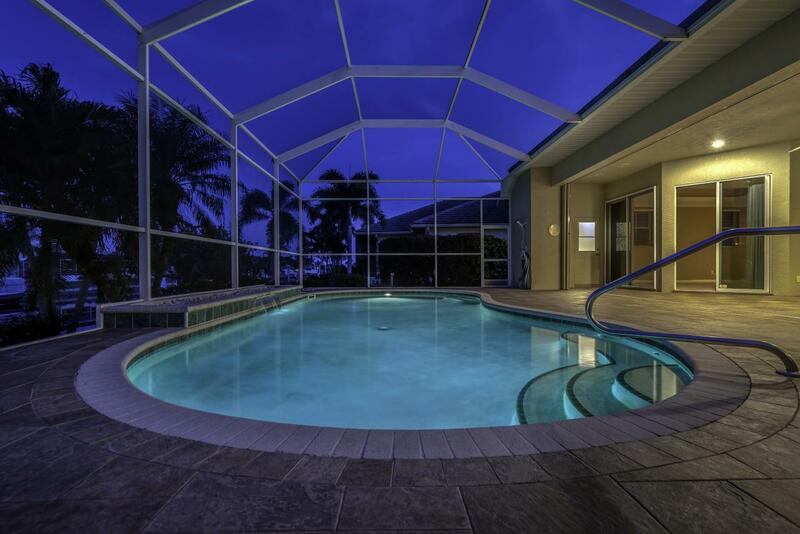 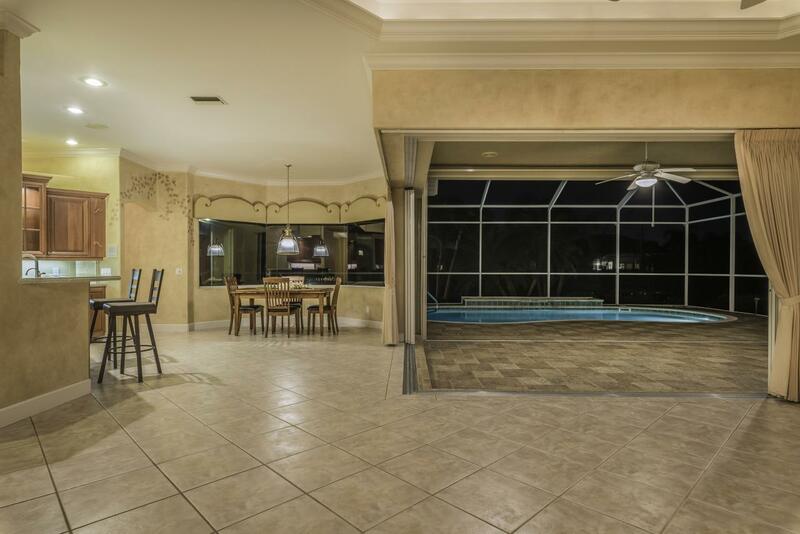 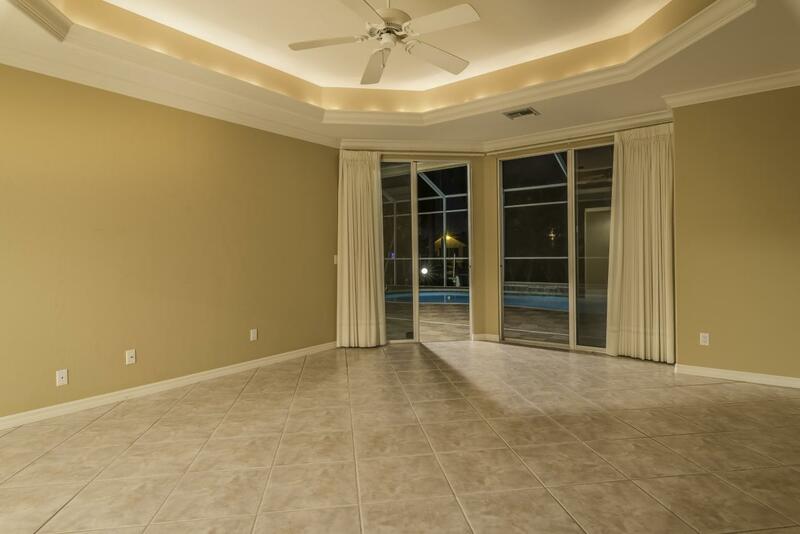 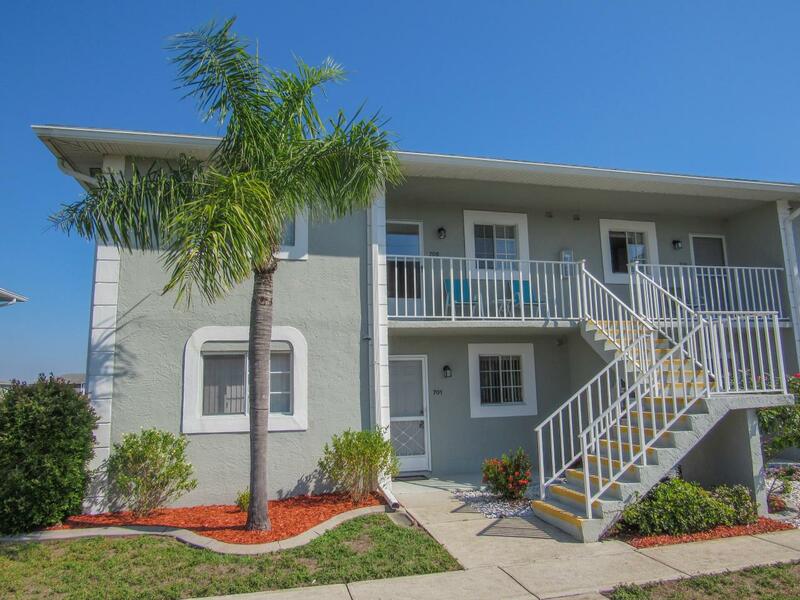 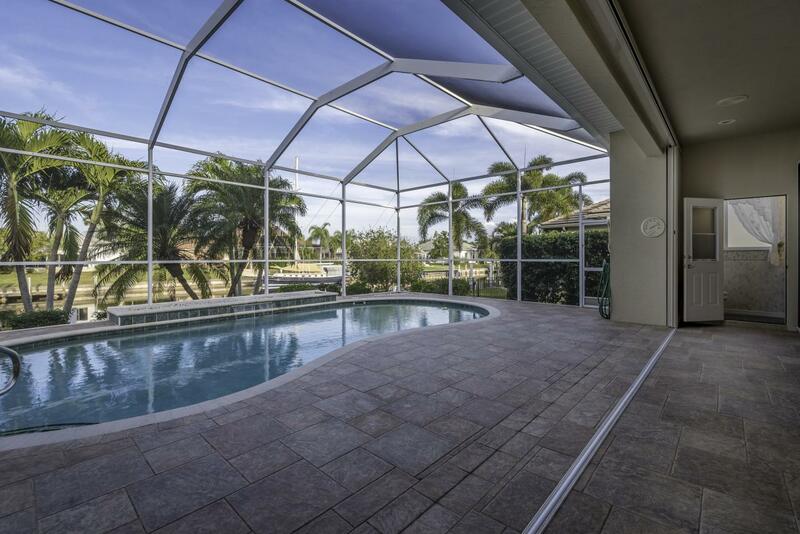 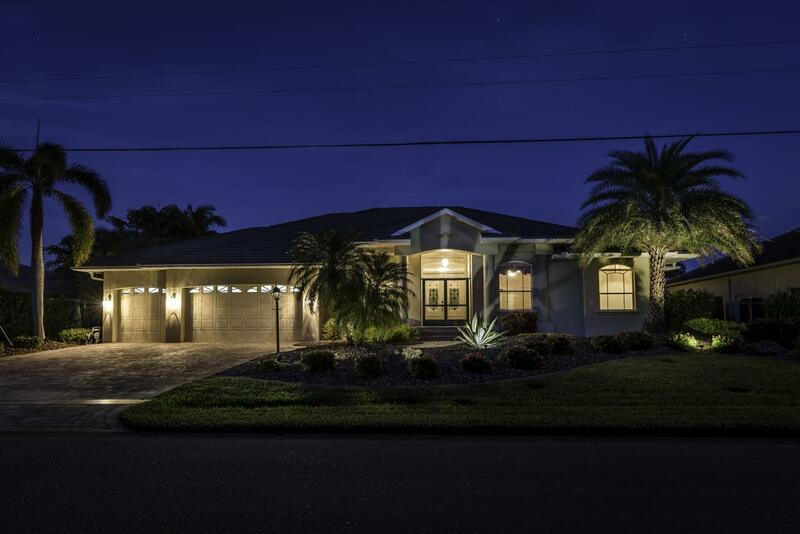 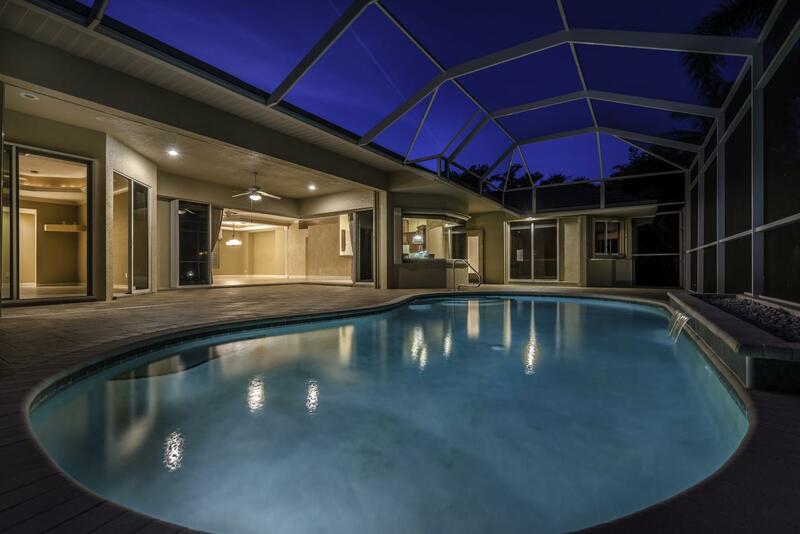 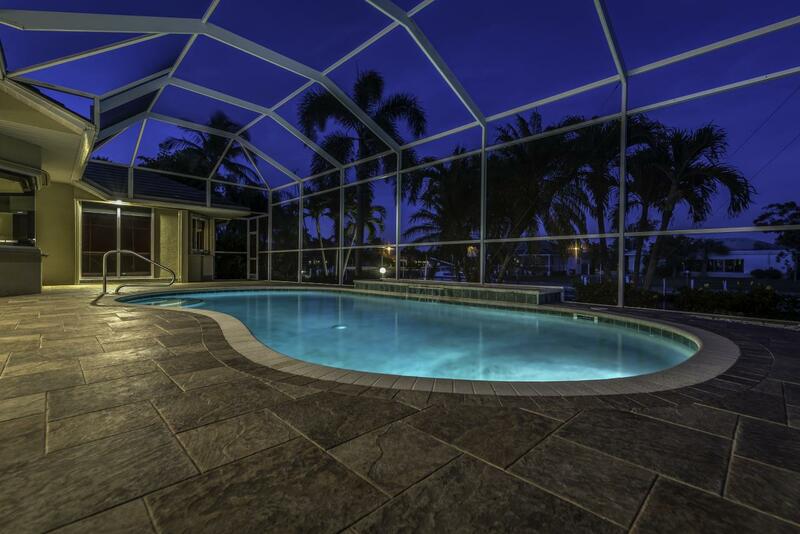 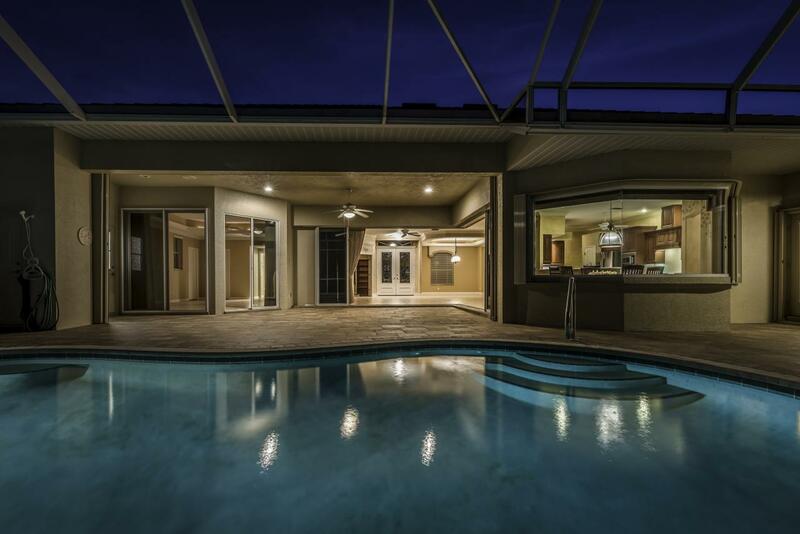 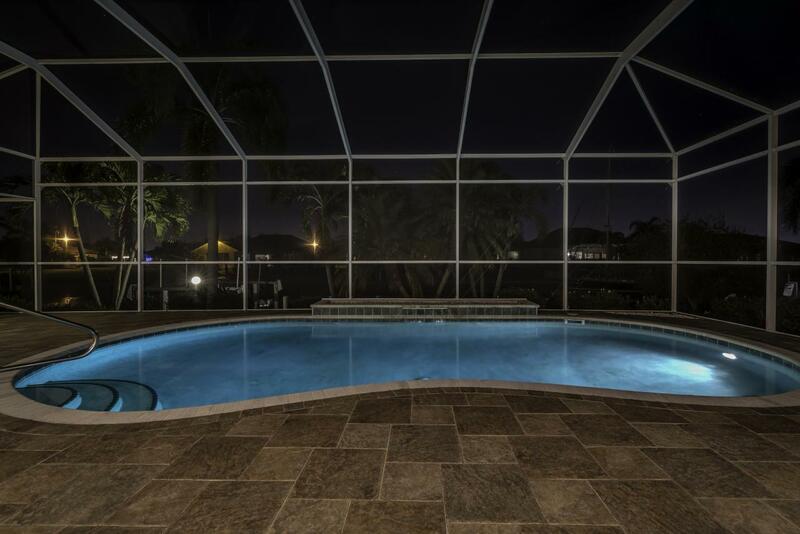 Take a dip in your heated pool and enjoy the Florida lifestyle! 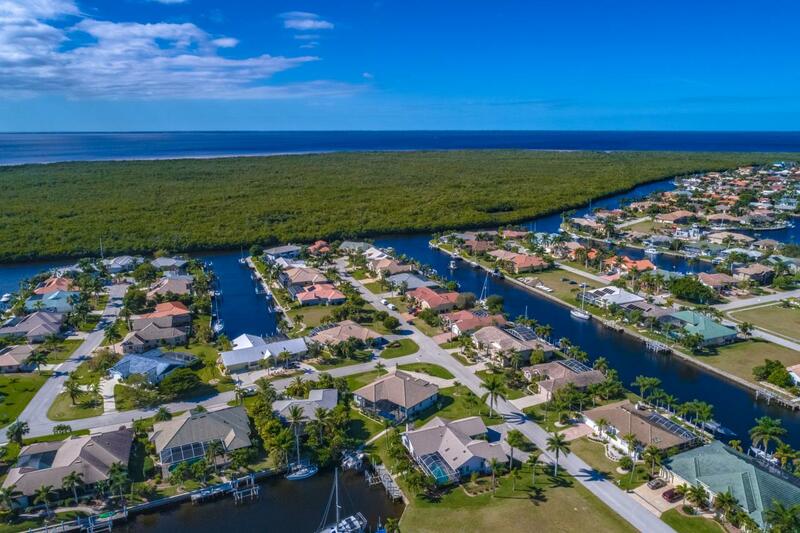 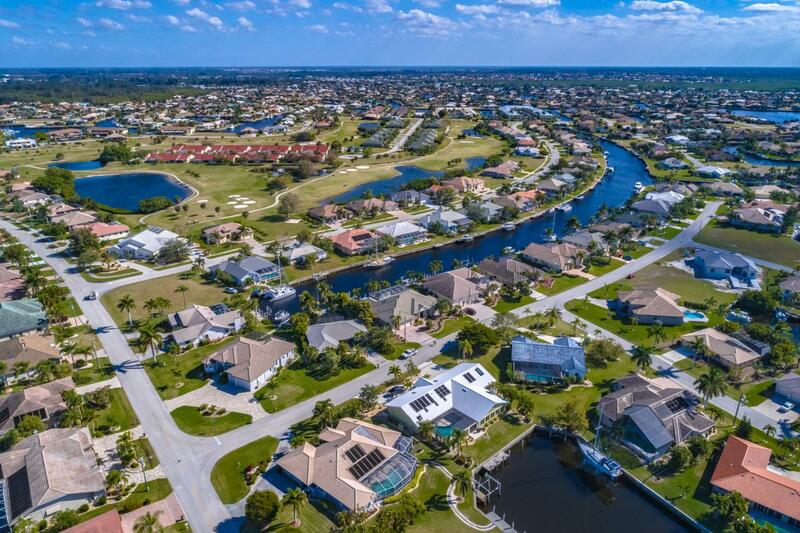 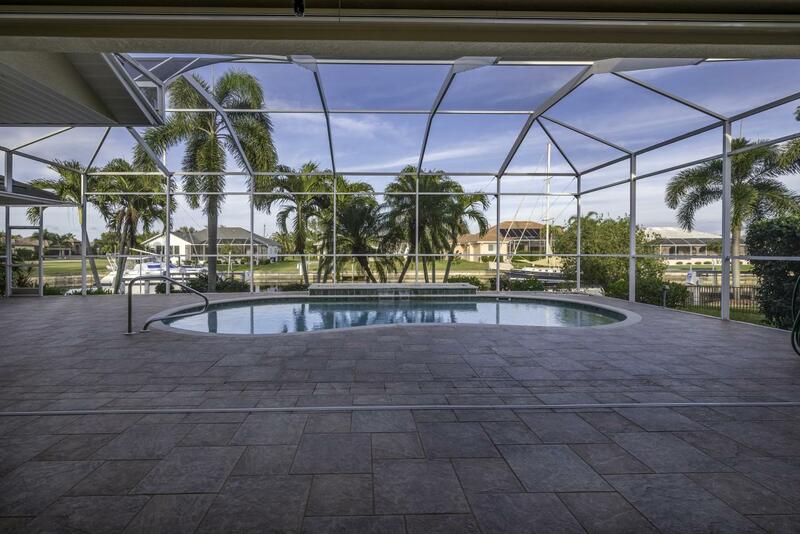 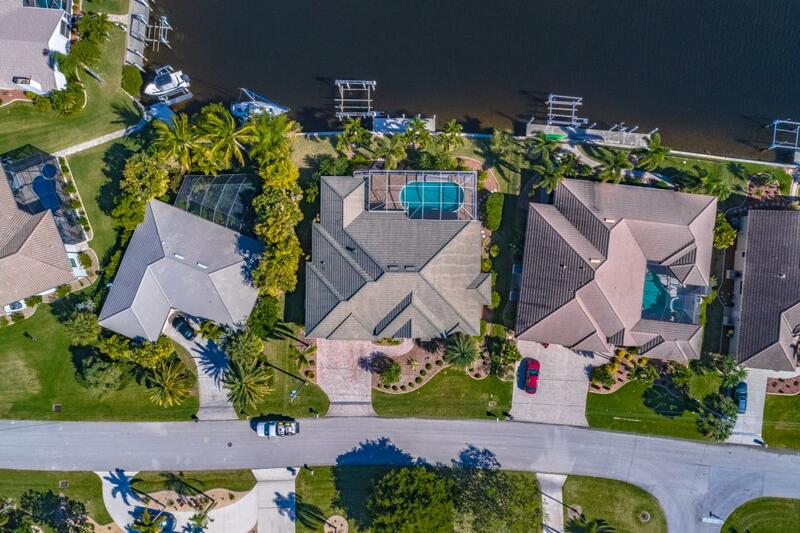 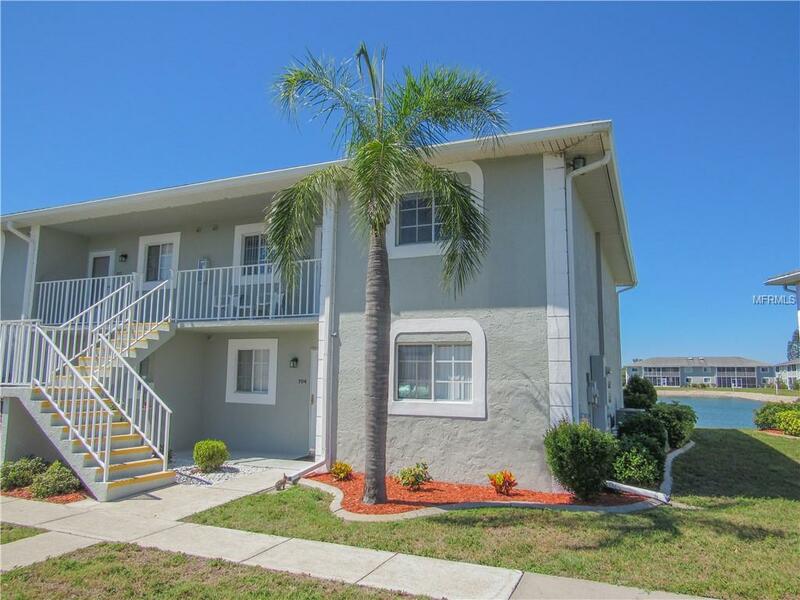 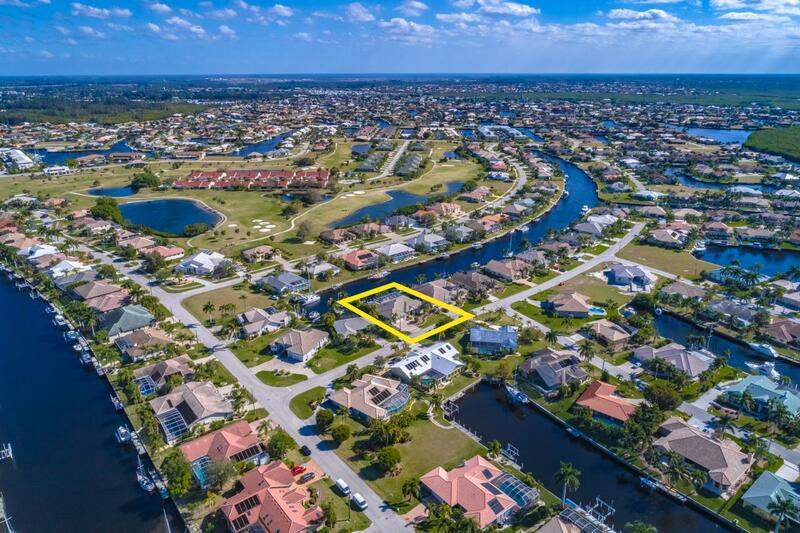 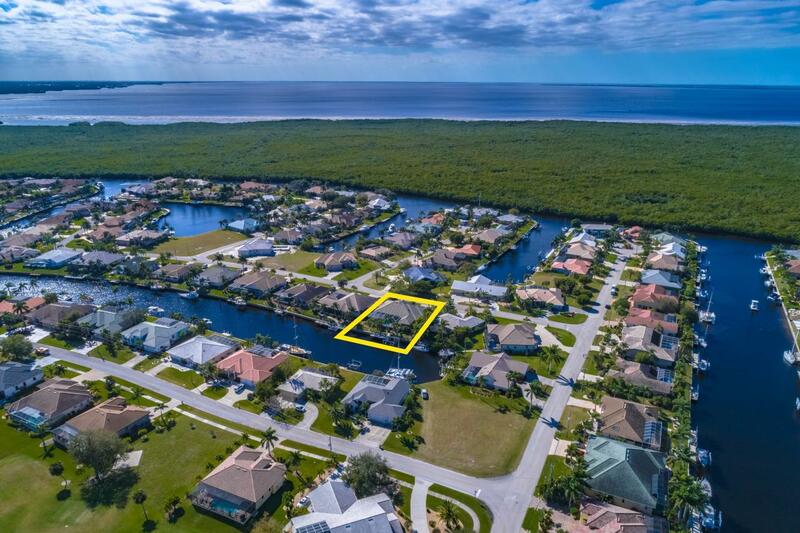 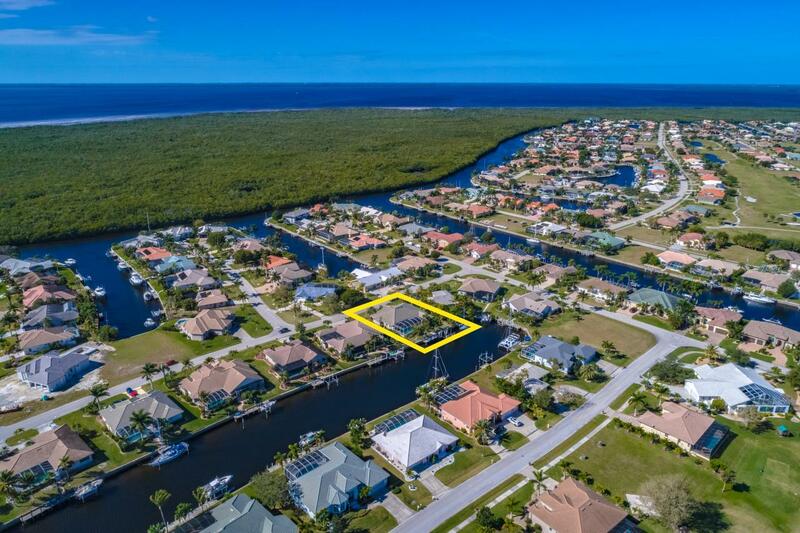 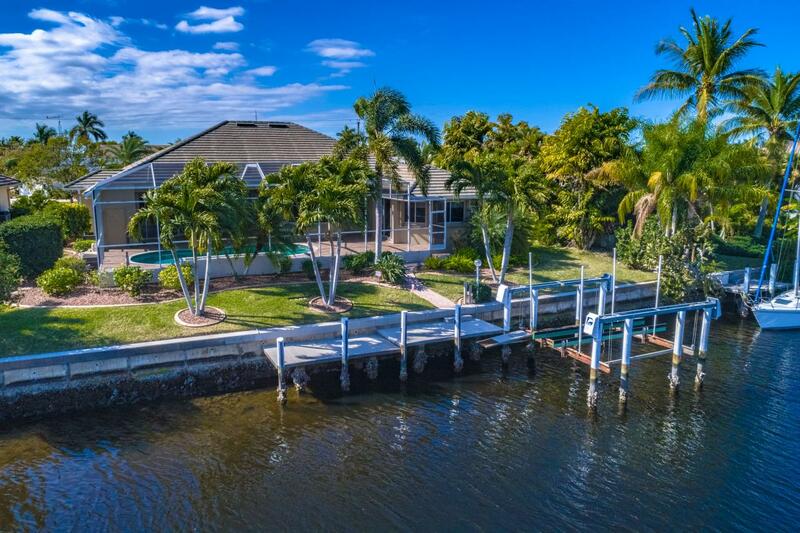 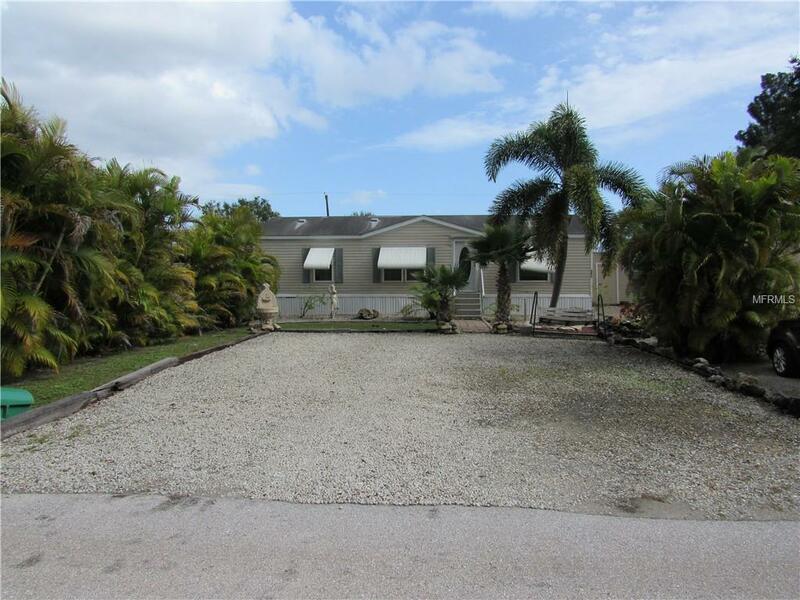 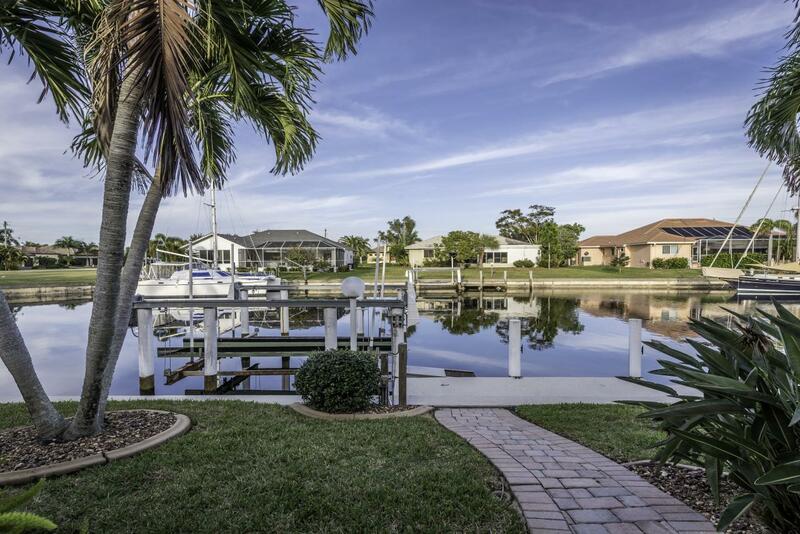 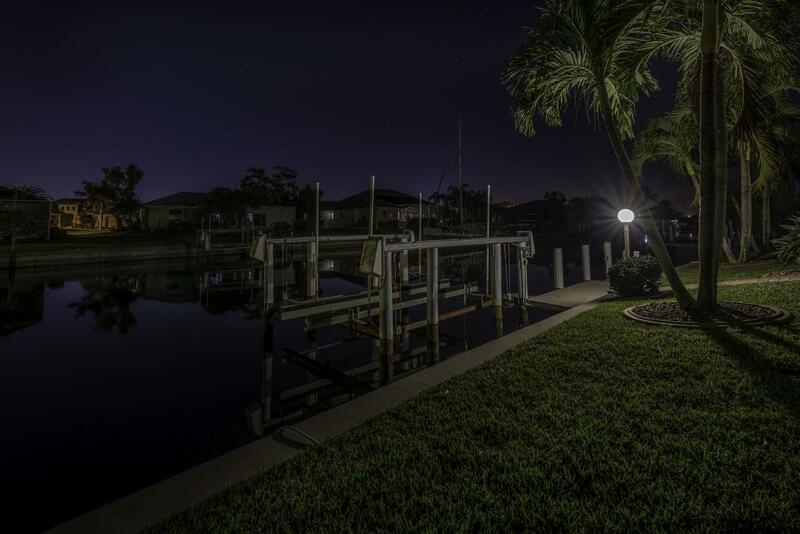 Steps away from the pool, you'll find an extended concrete dock with 20,000 lbs boat lift. 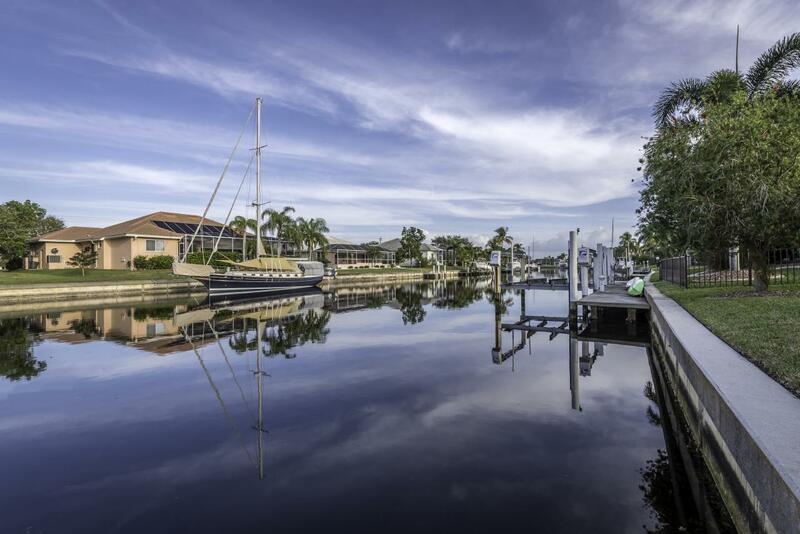 Enjoy boating, fishing, and sailing with no bridges to open water.